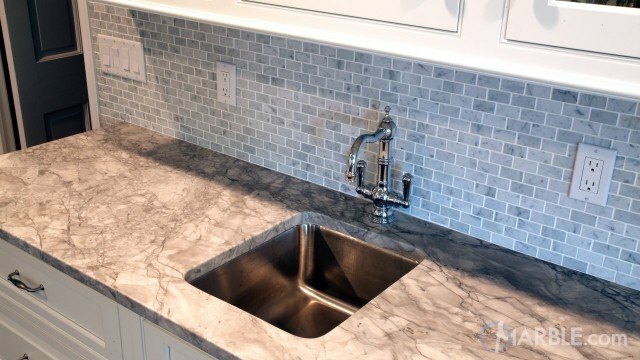 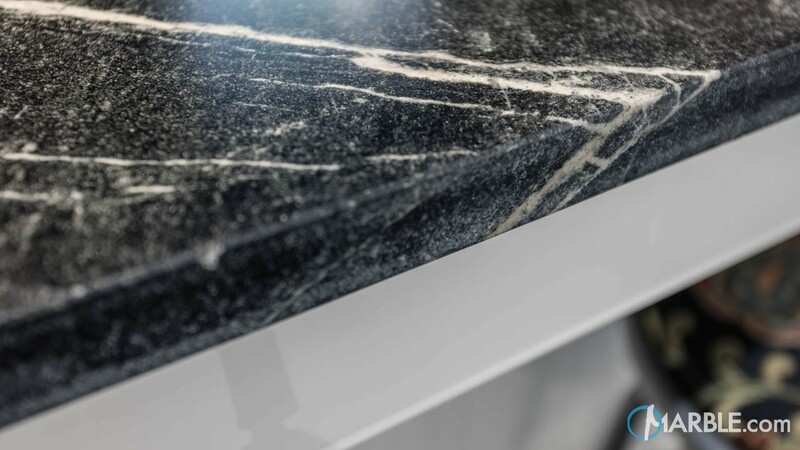 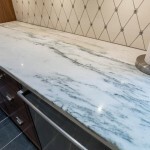 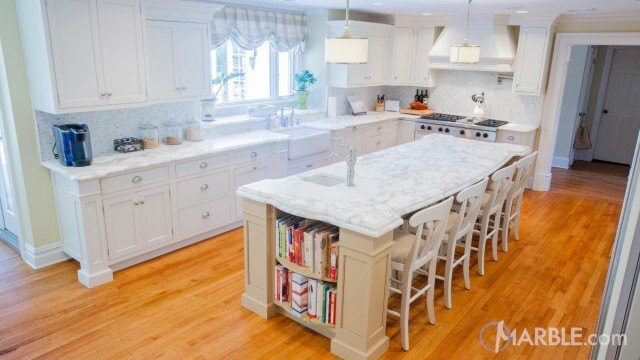 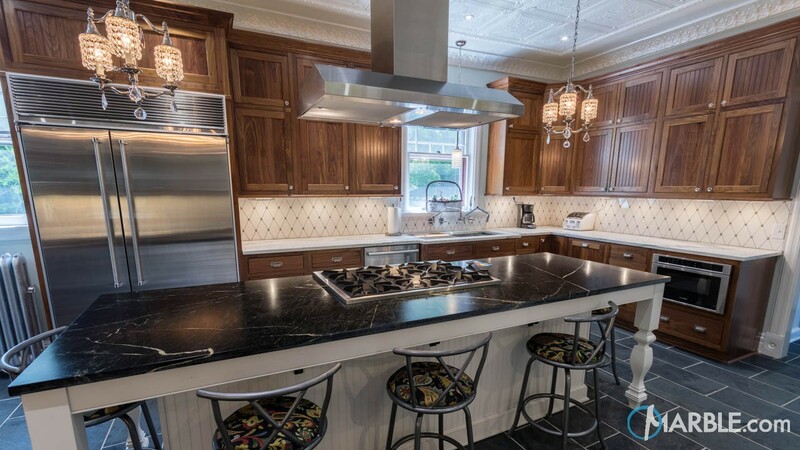 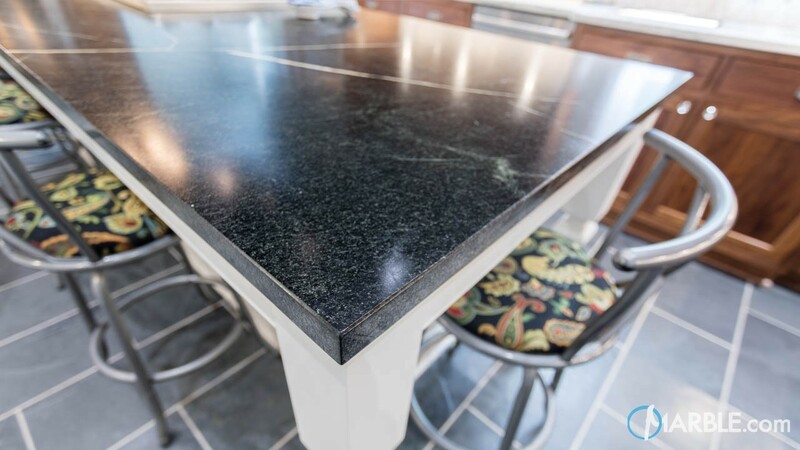 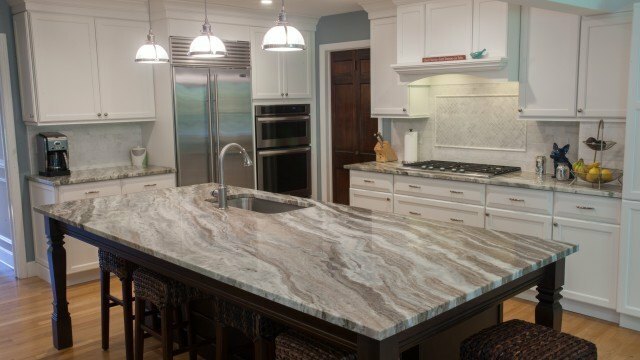 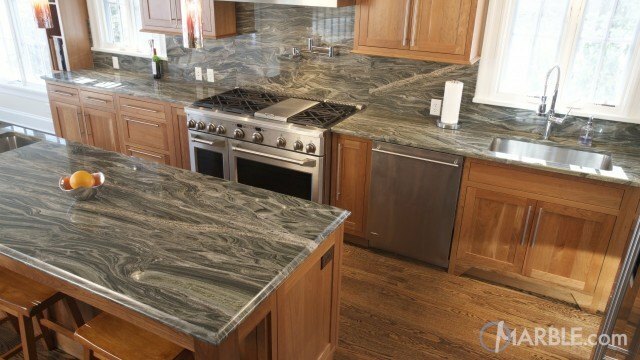 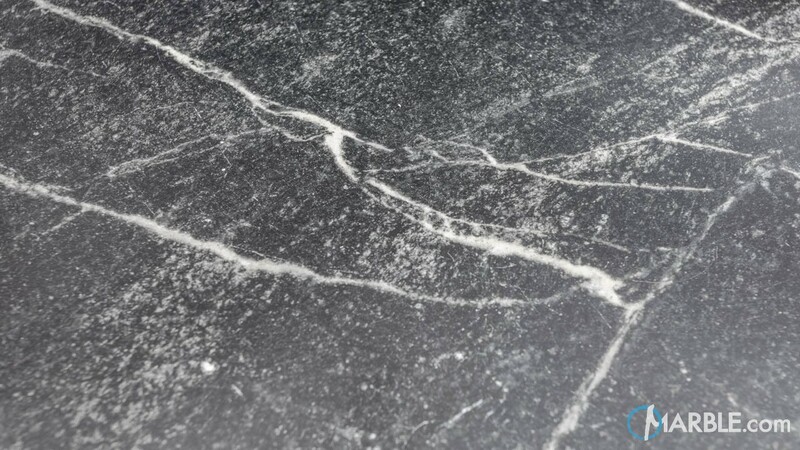 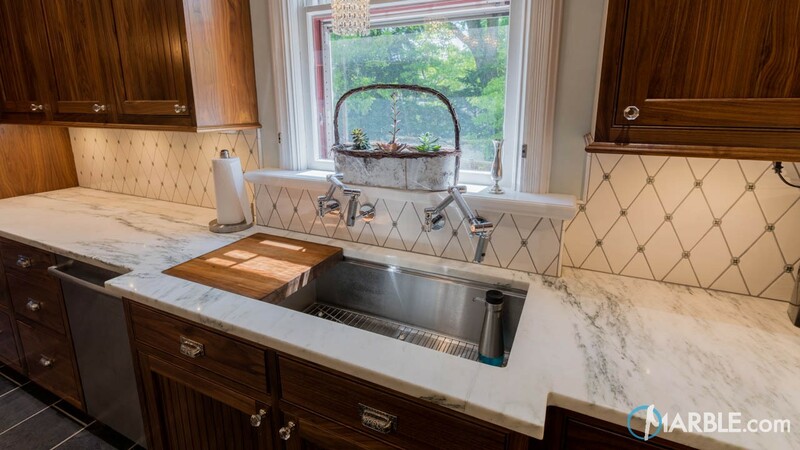 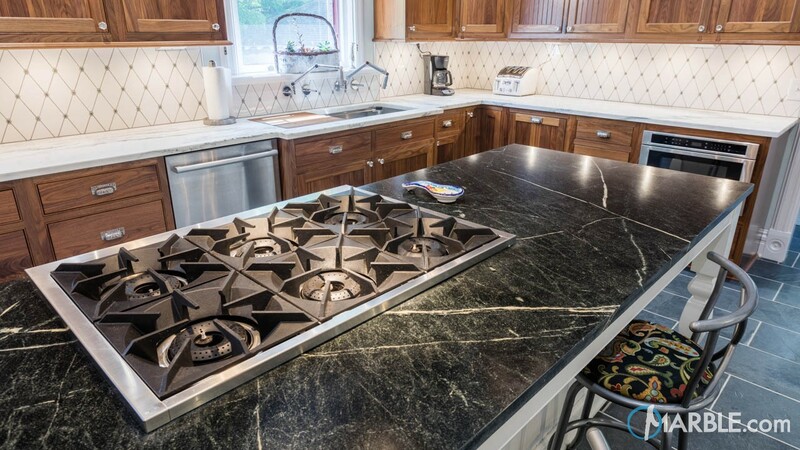 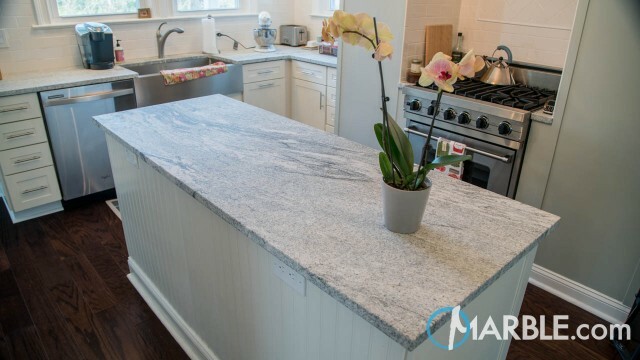 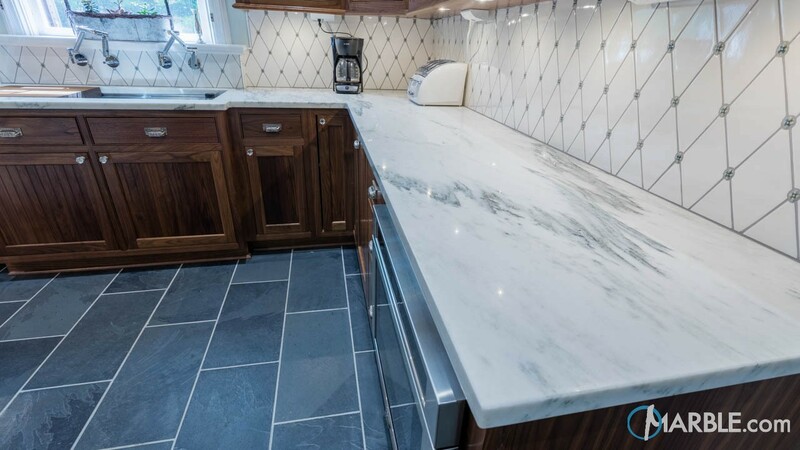 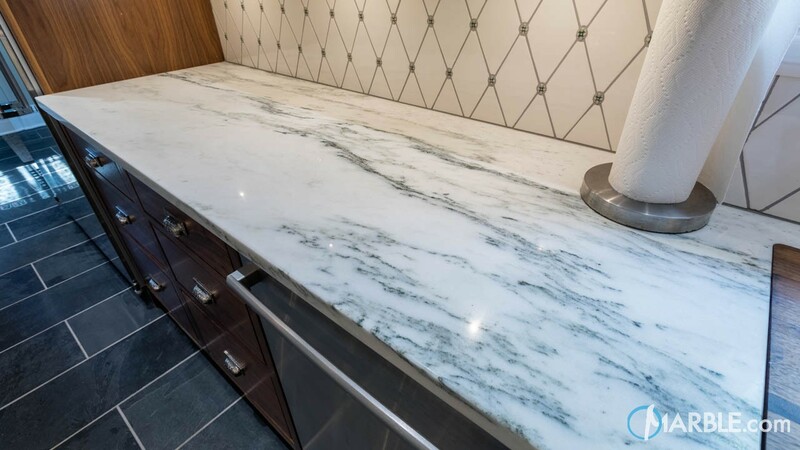 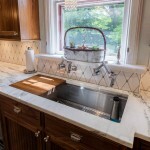 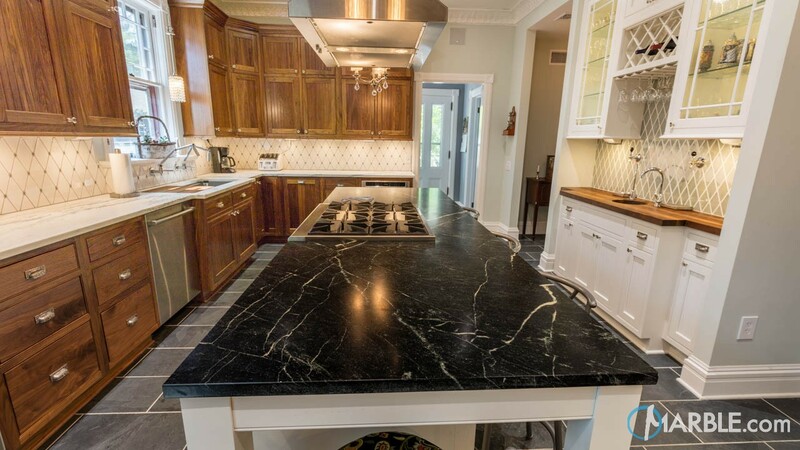 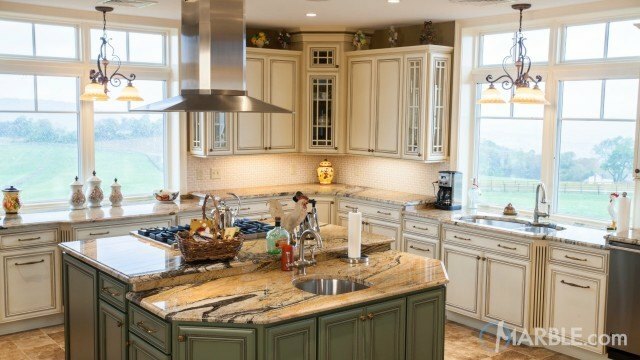 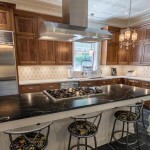 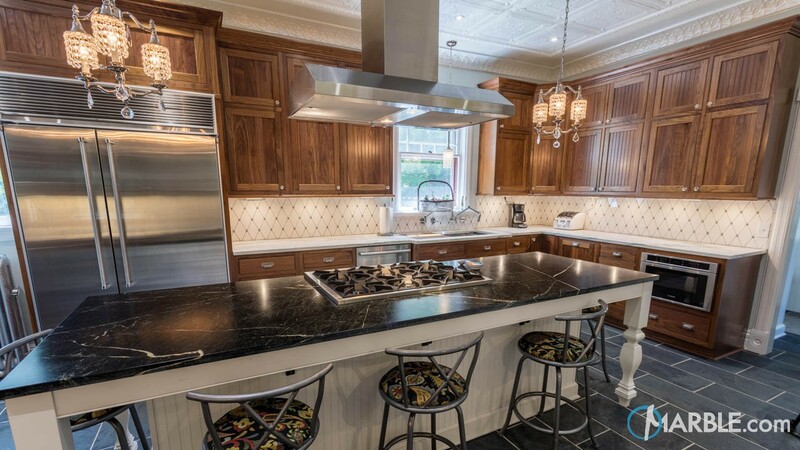 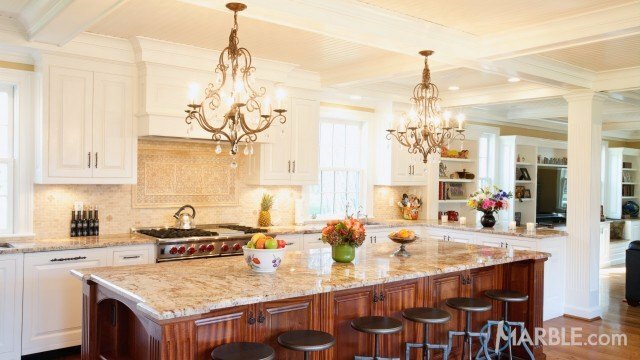 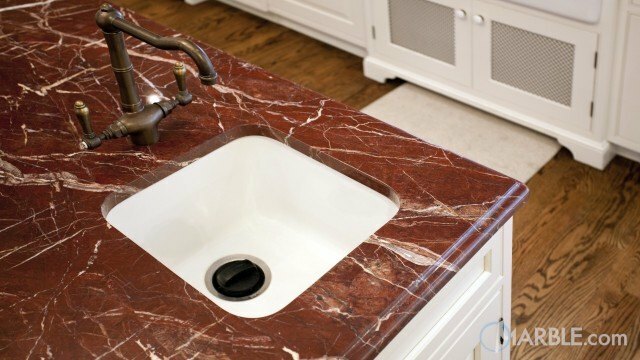 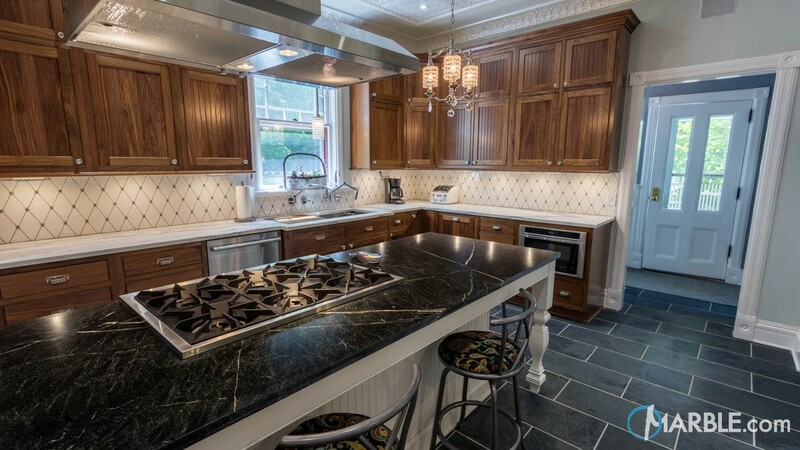 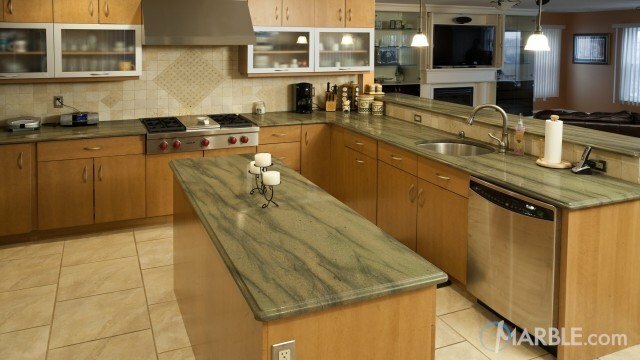 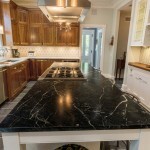 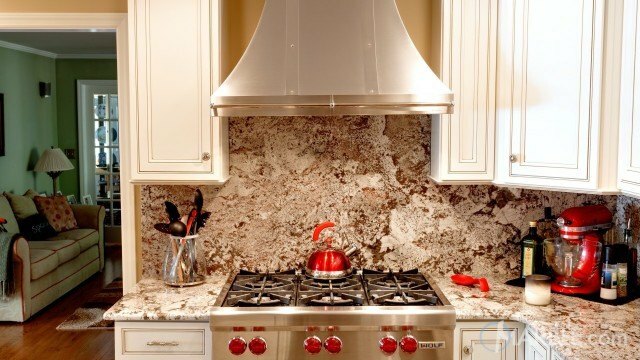 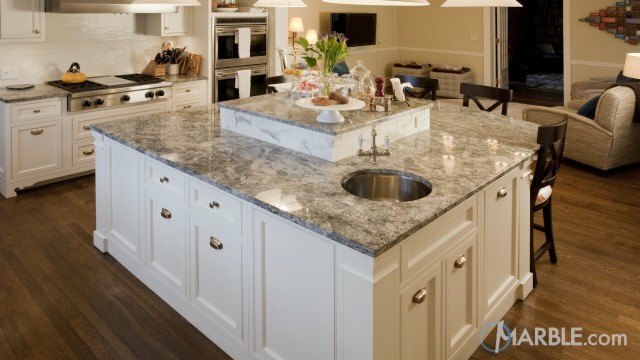 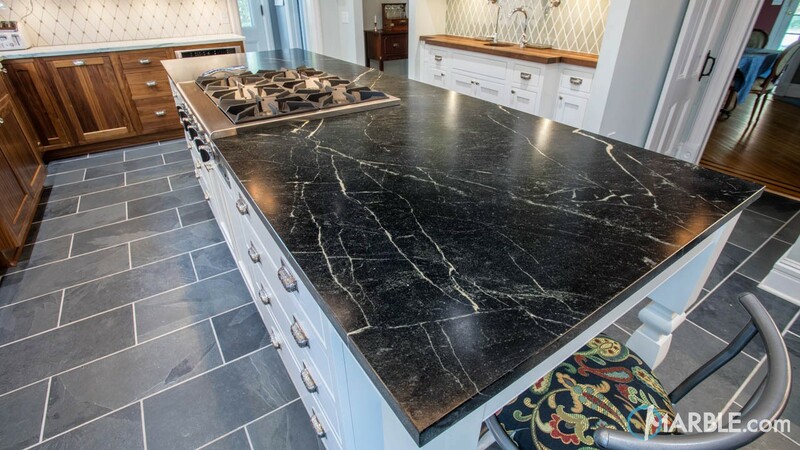 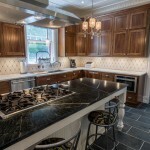 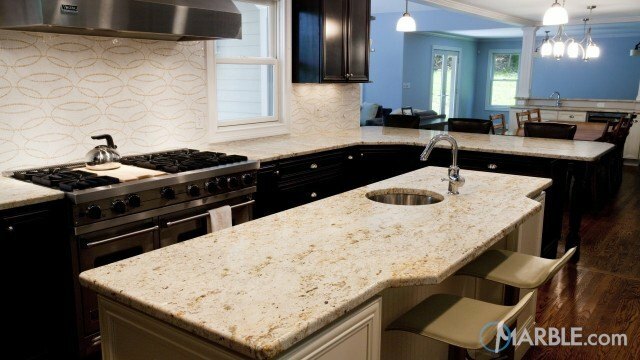 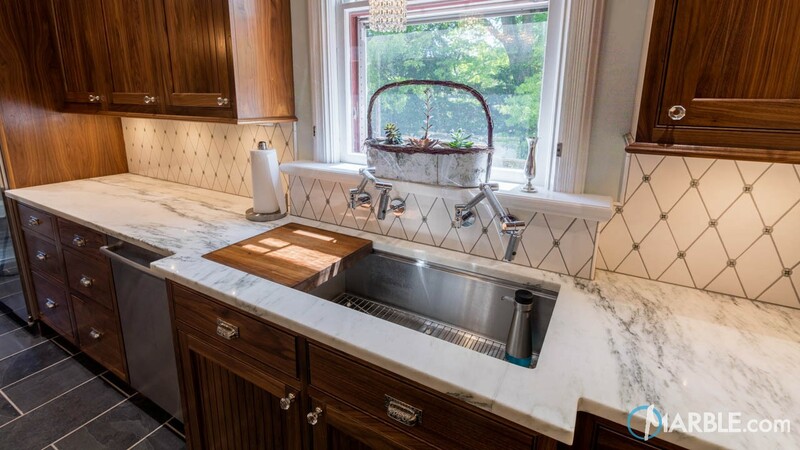 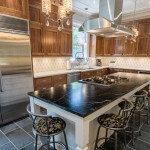 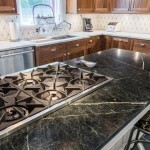 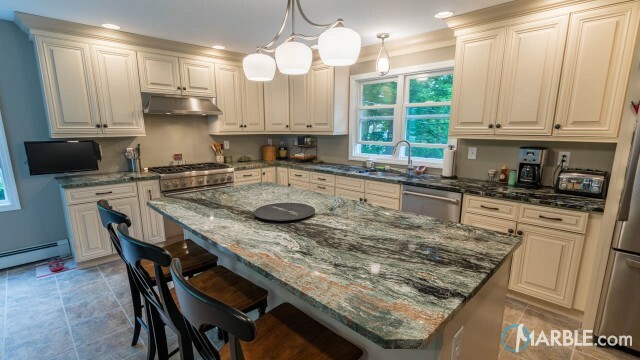 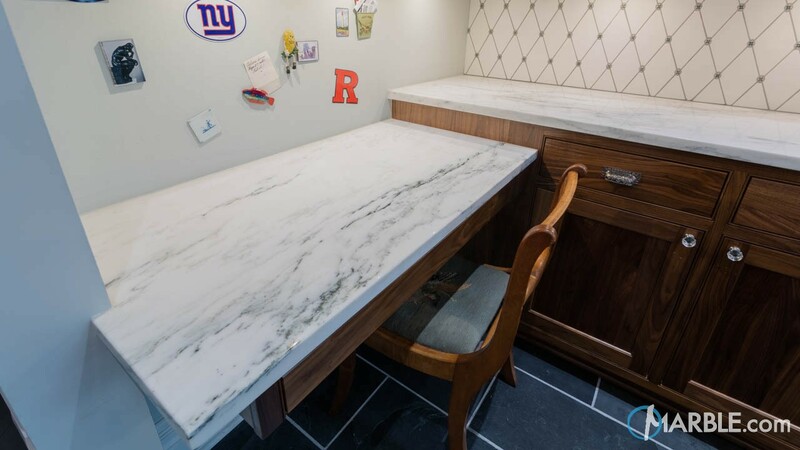 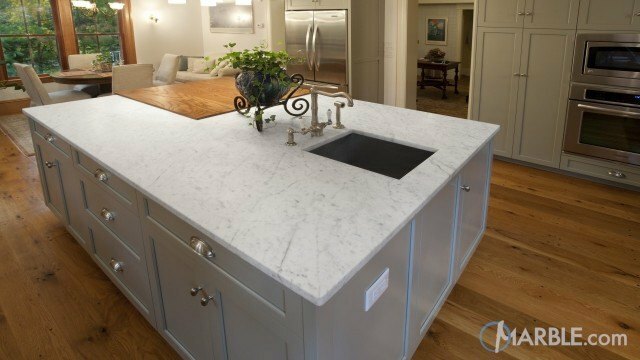 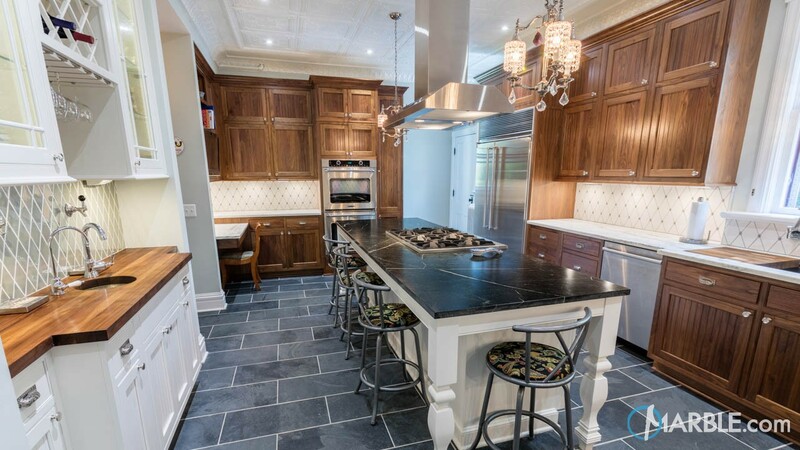 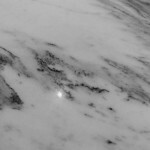 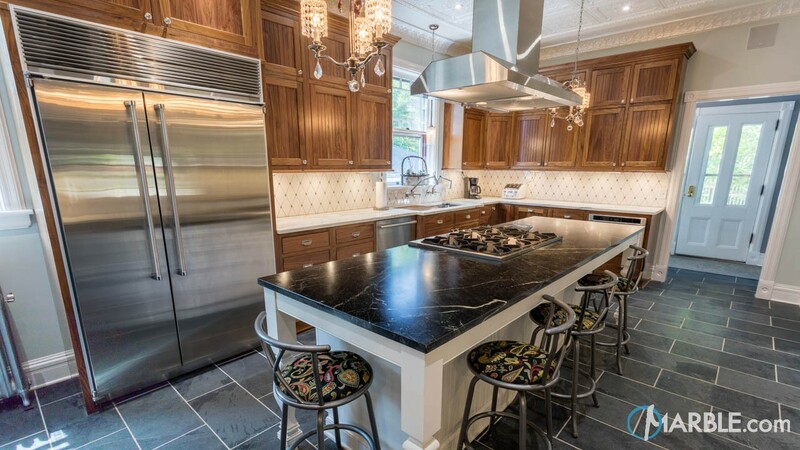 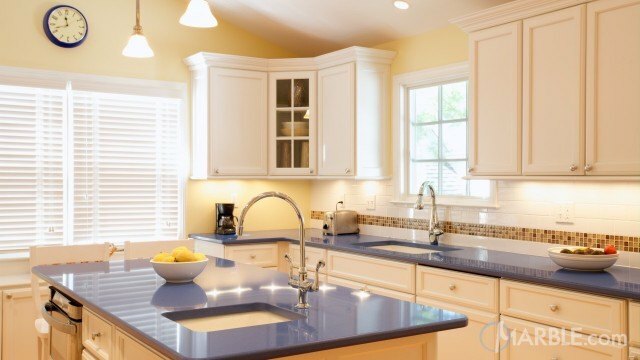 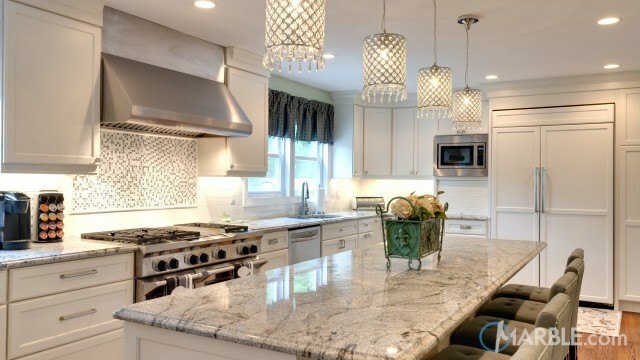 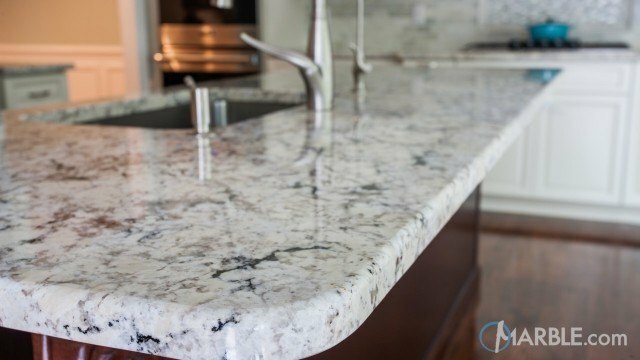 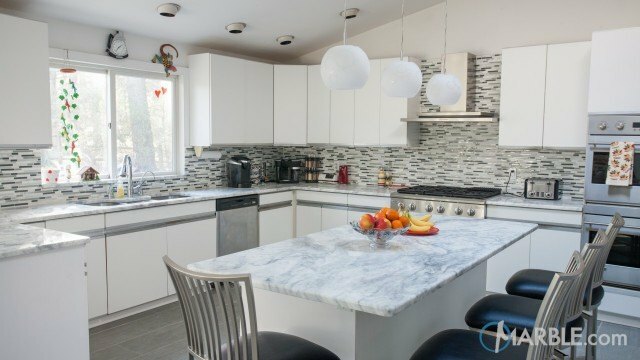 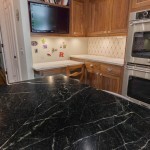 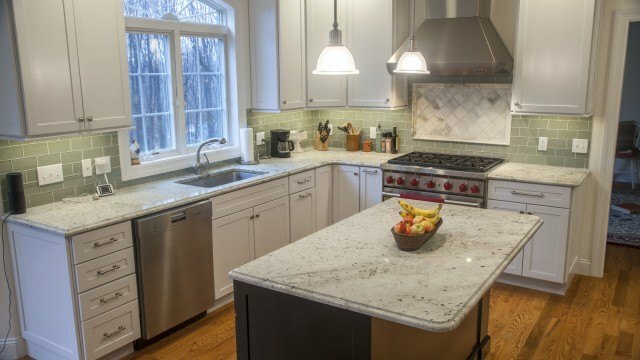 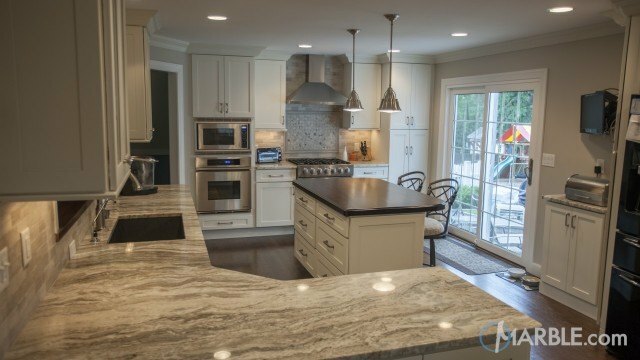 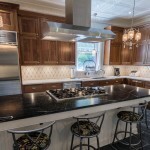 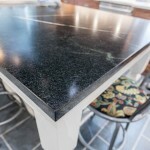 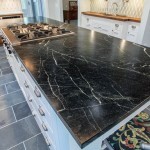 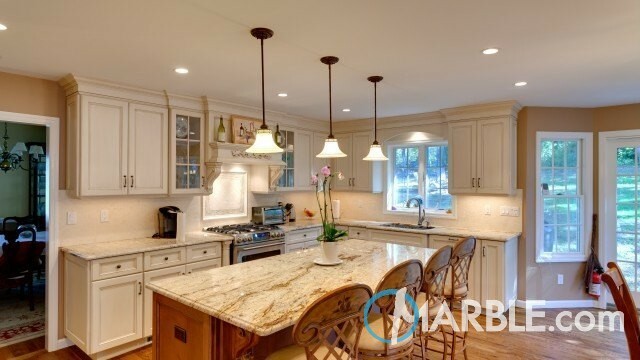 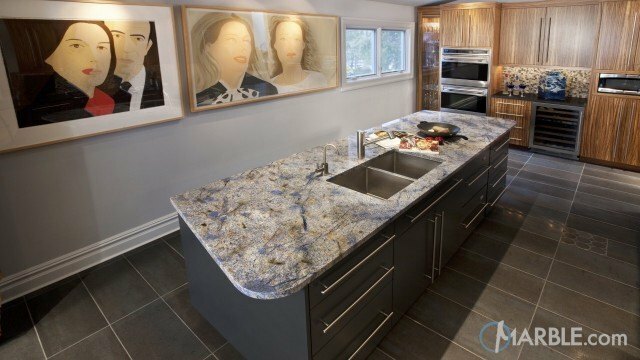 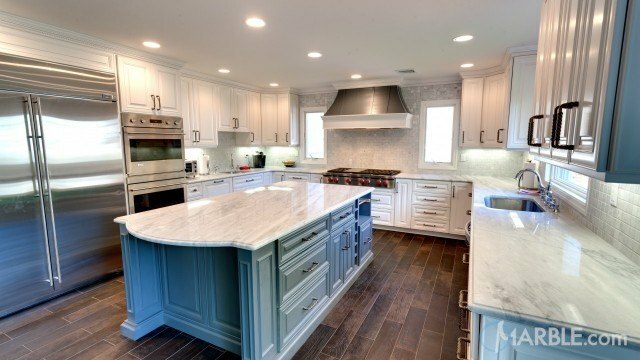 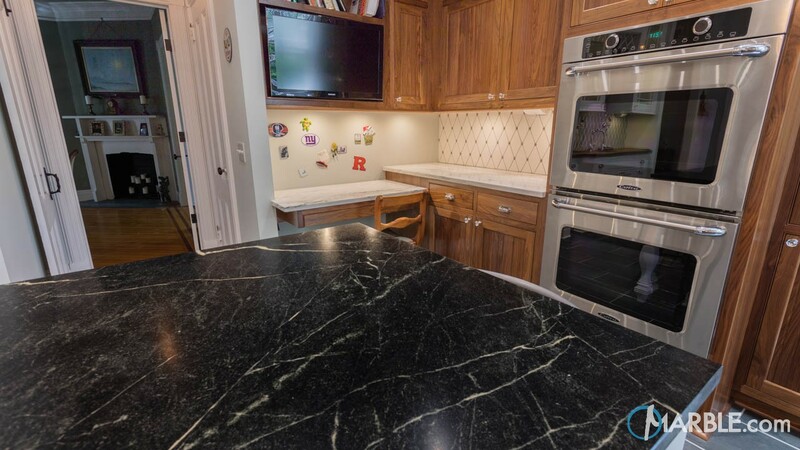 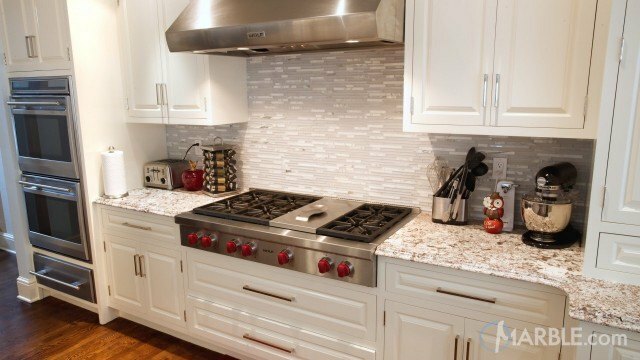 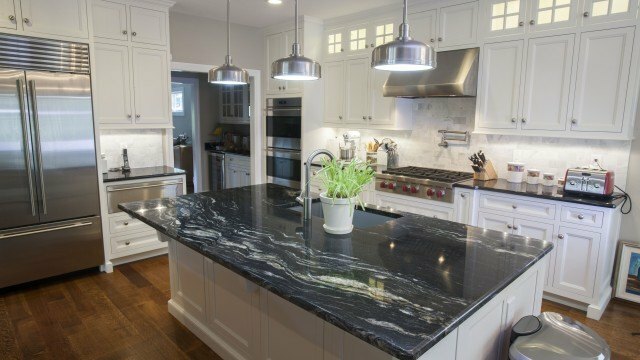 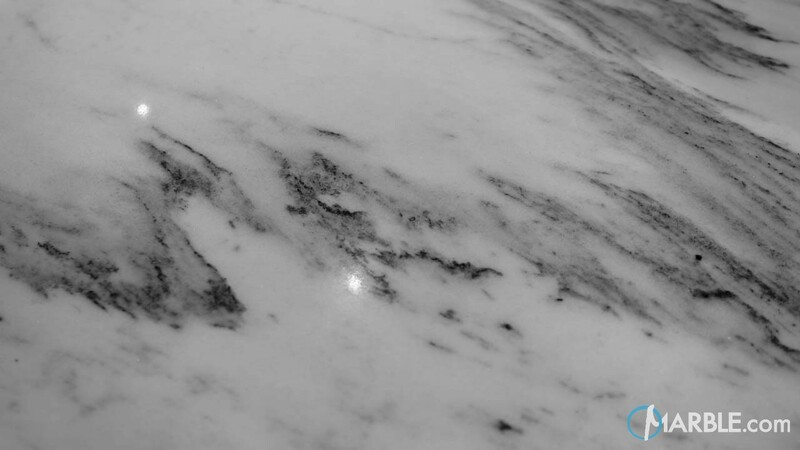 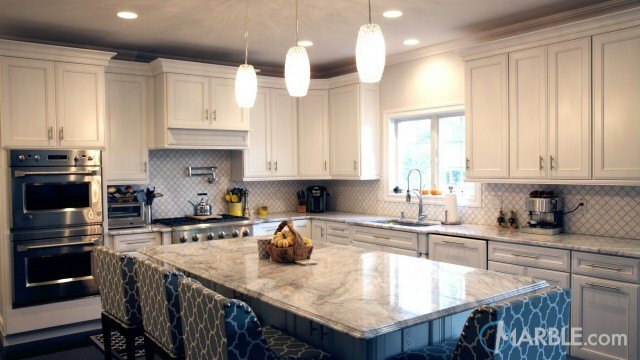 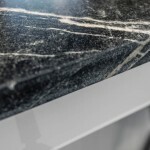 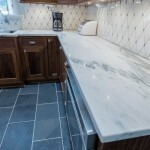 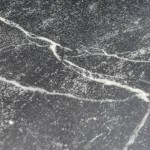 This extraordinary kitchen features Mountain White Danby marble and Barroca soapstone counter tops. 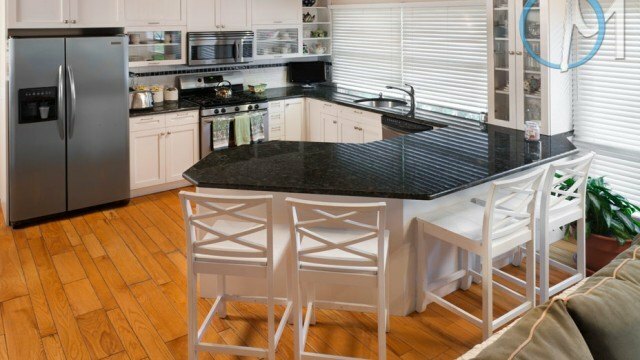 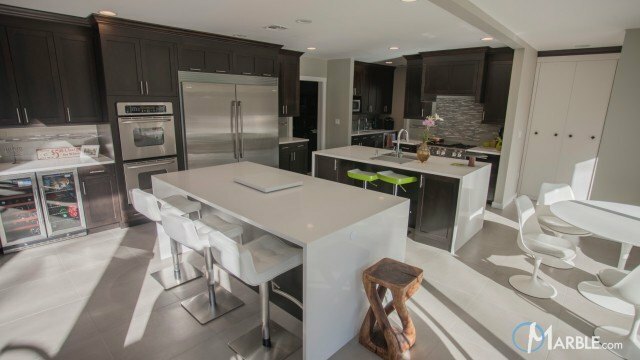 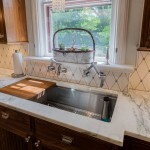 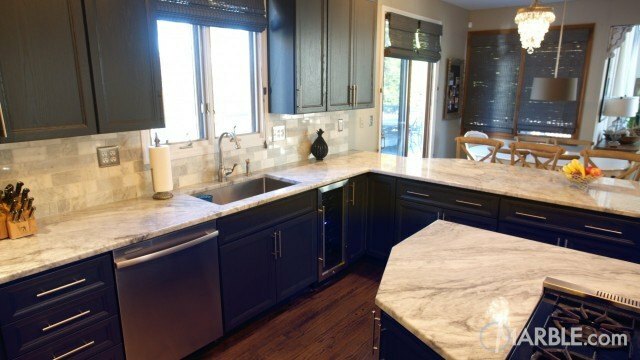 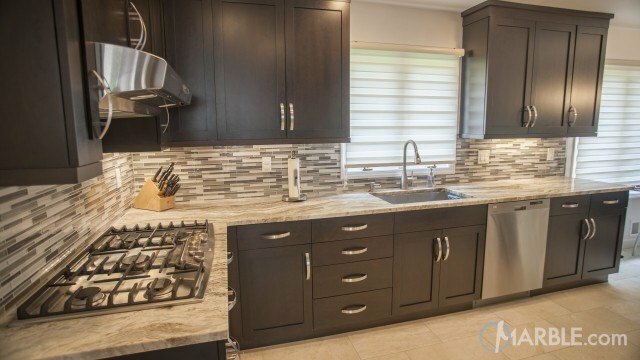 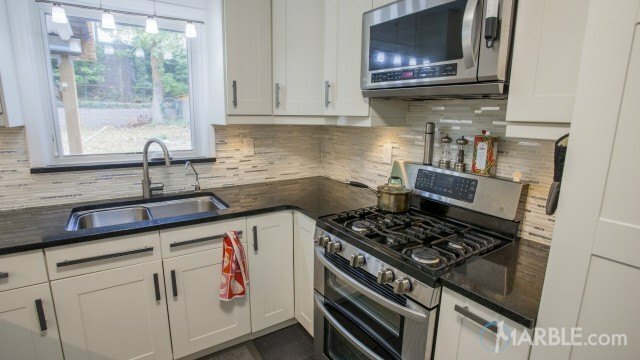 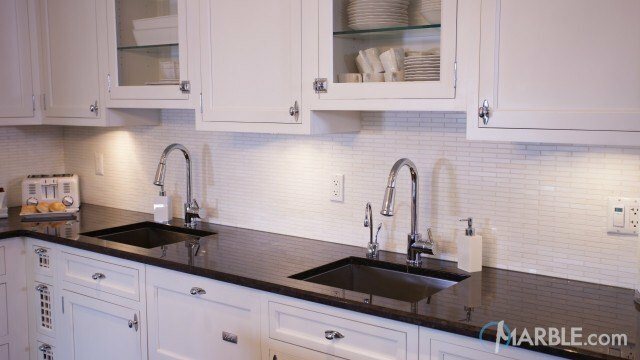 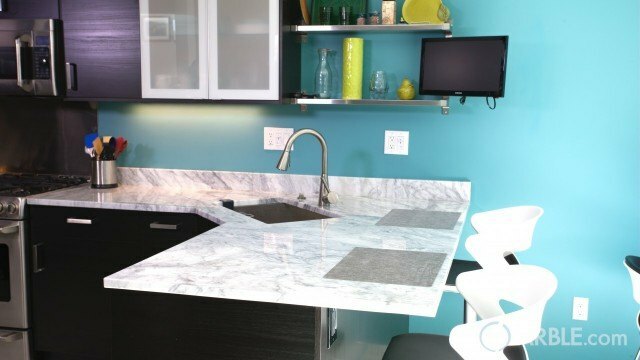 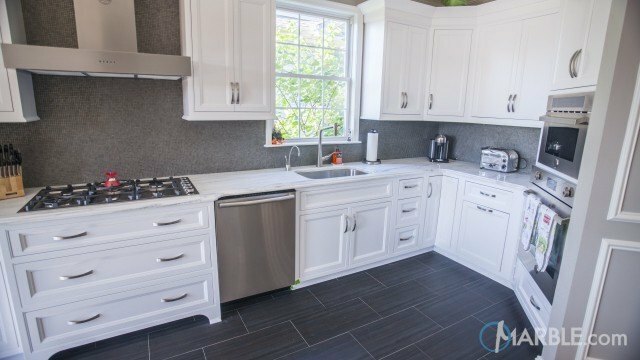 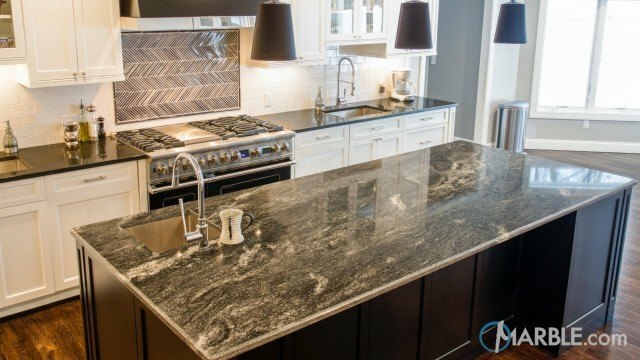 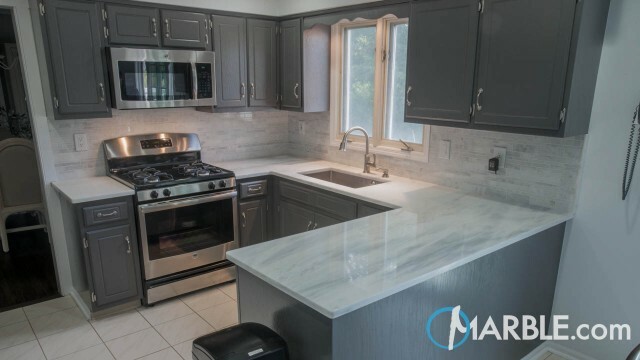 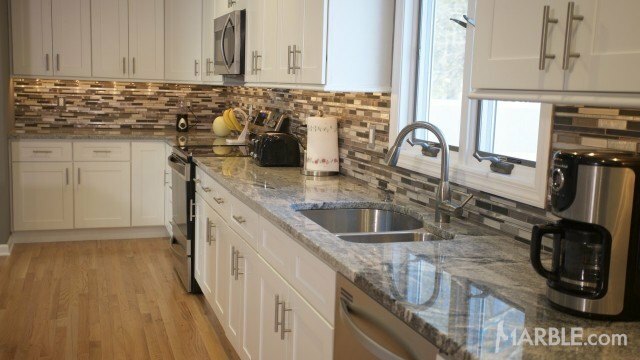 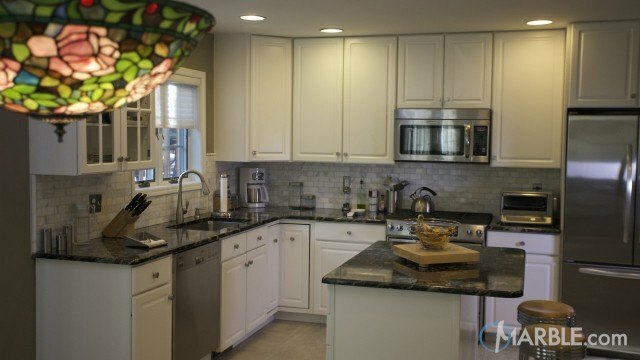 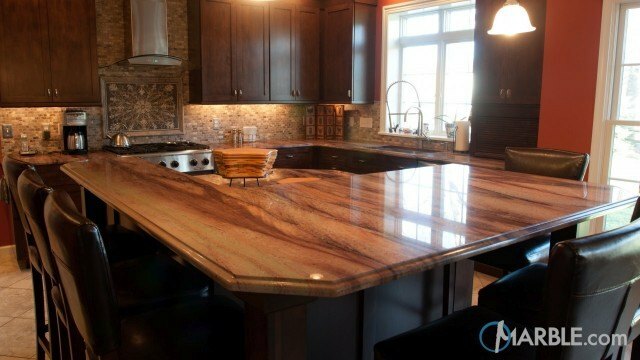 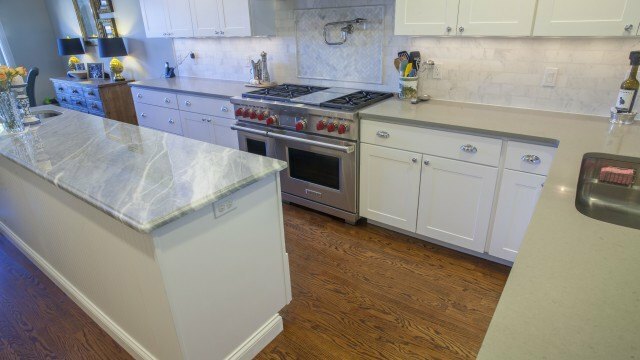 The contrast of black and white counters with stained brown cabinets creates a unique decor for this homeowner. 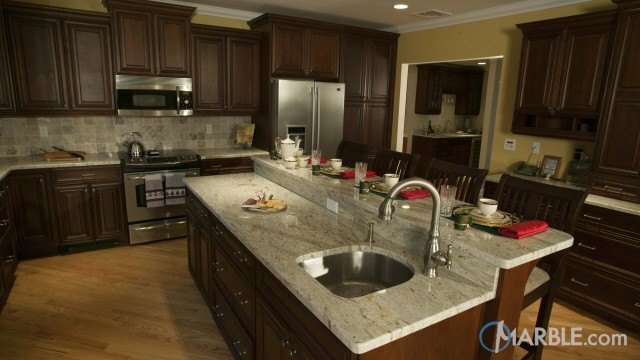 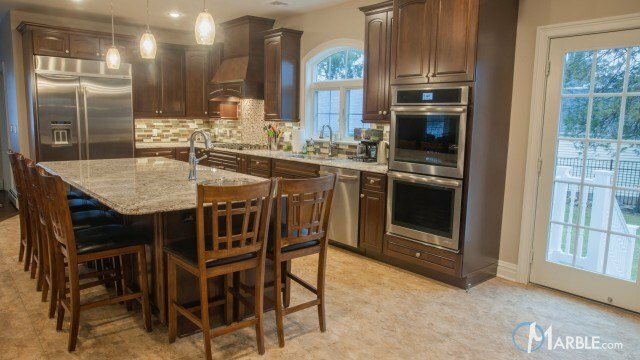 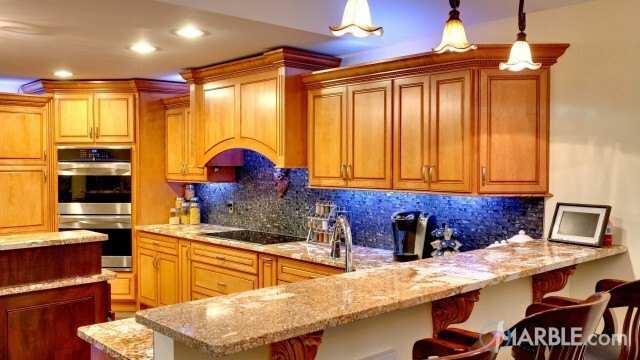 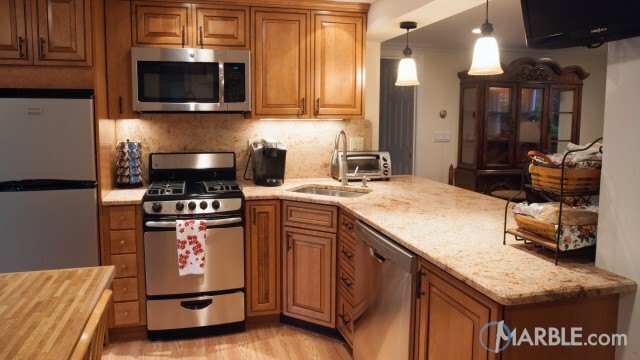 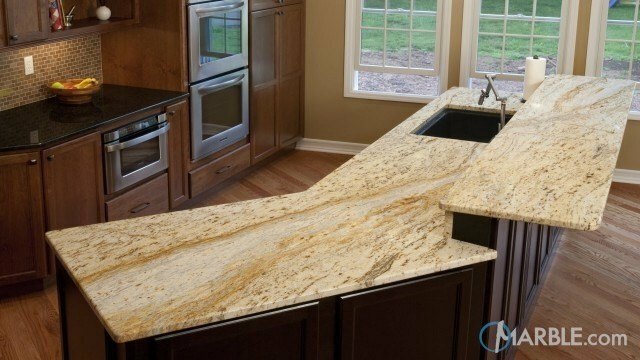 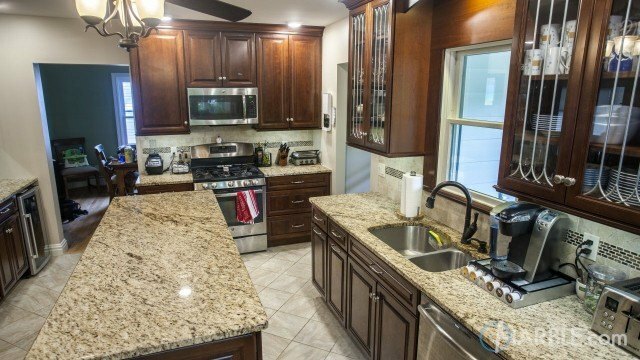 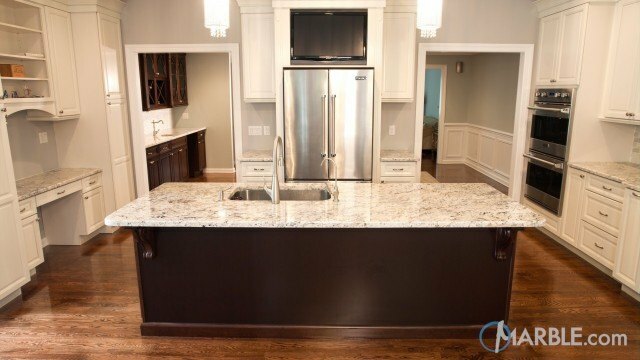 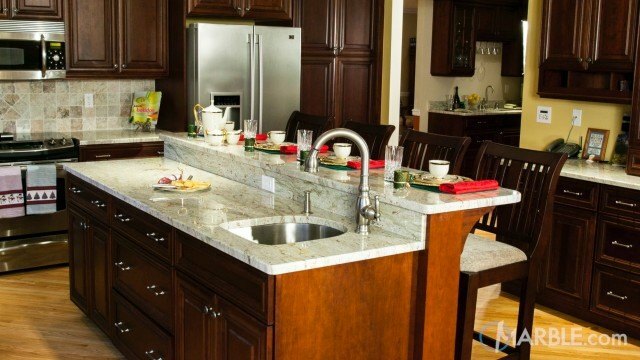 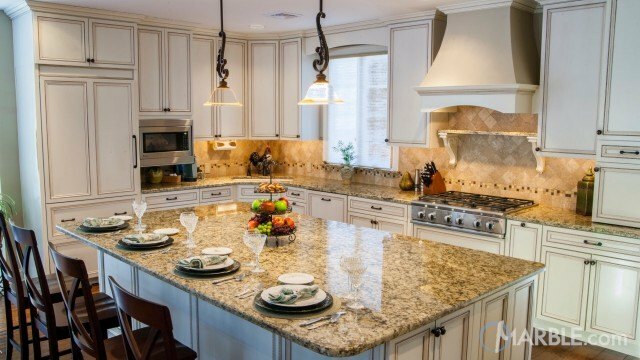 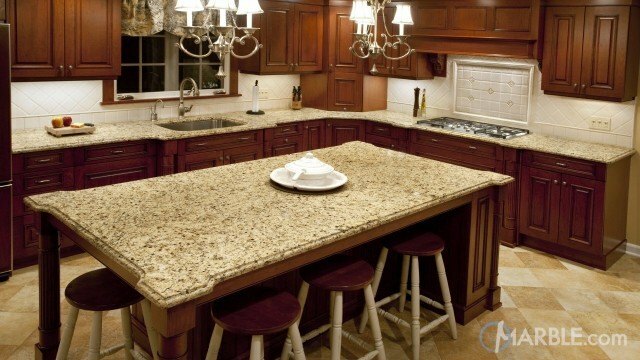 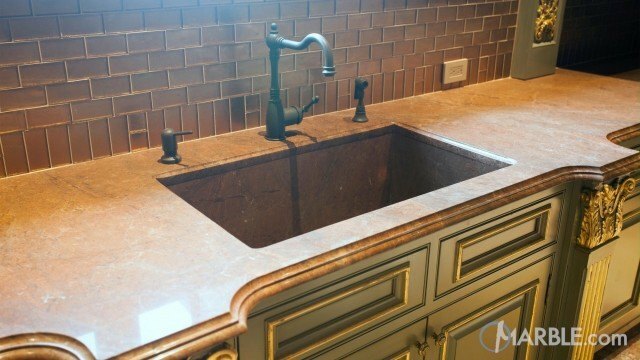 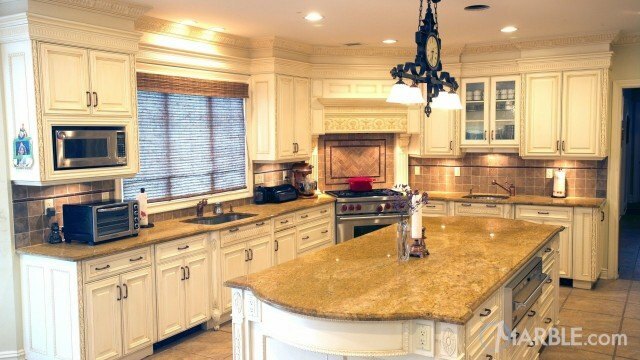 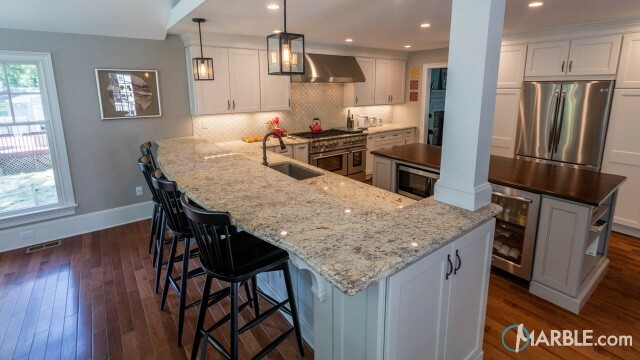 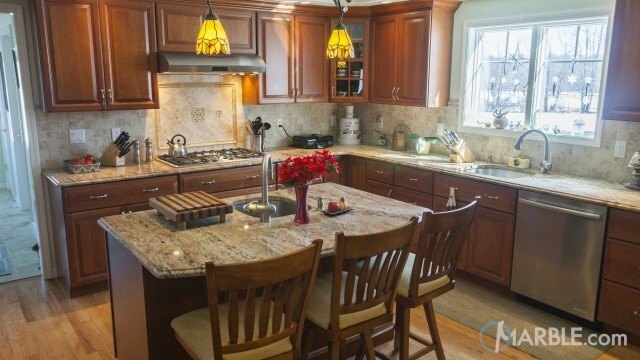 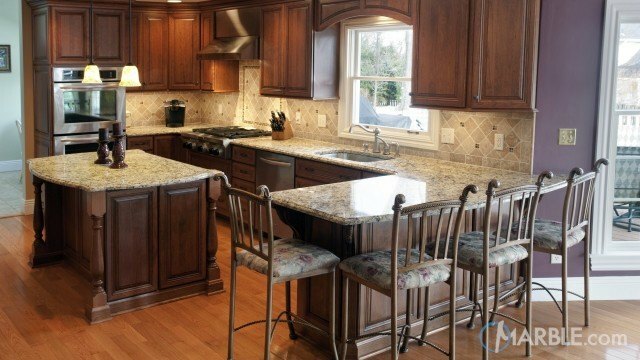 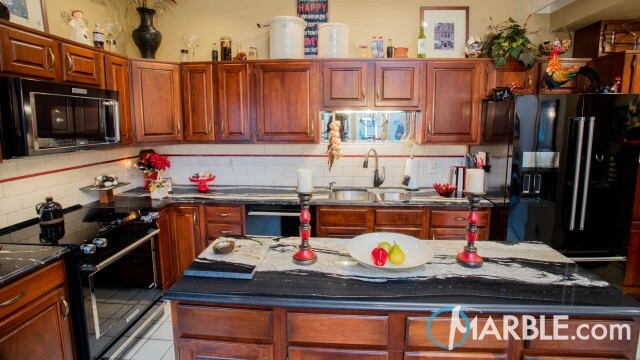 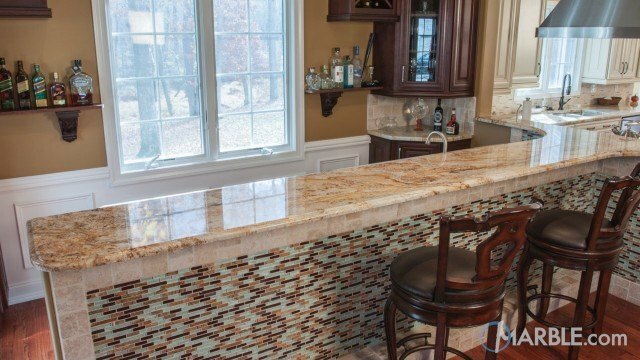 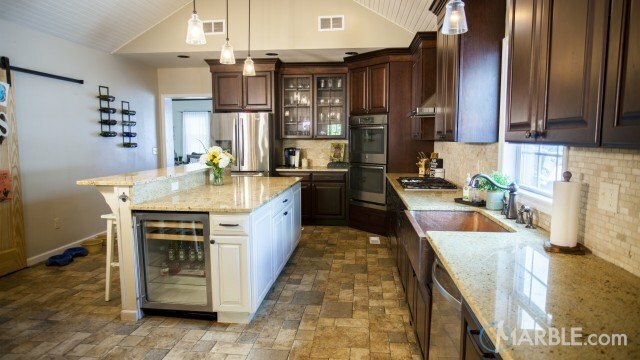 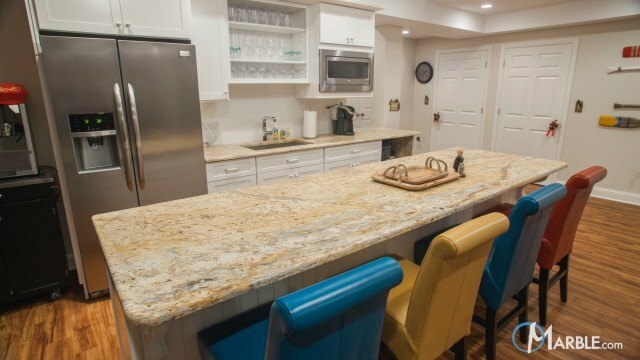 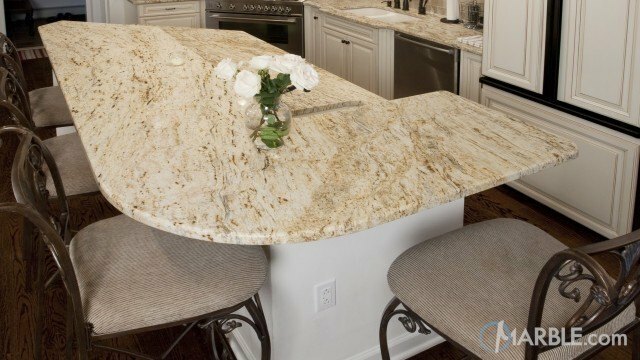 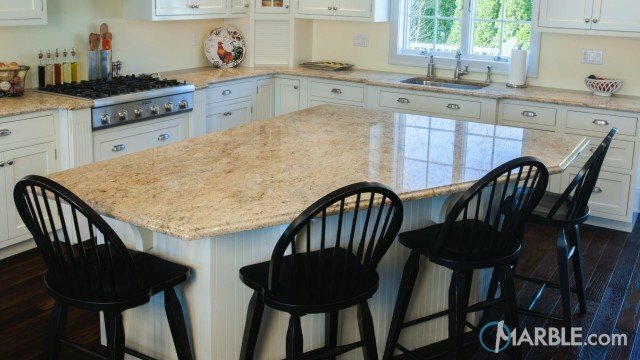 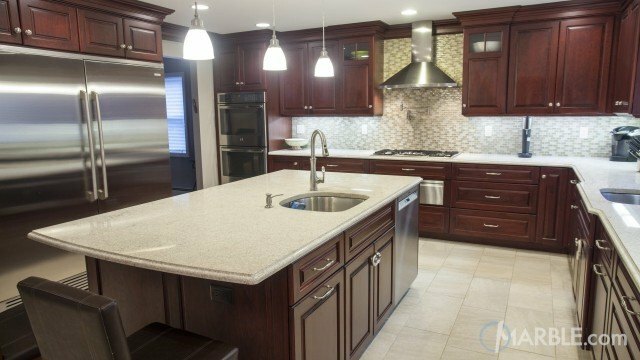 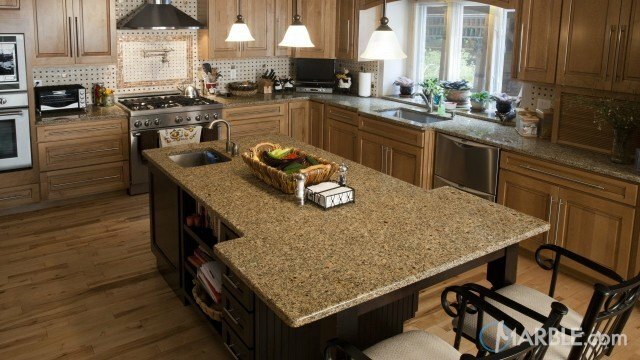 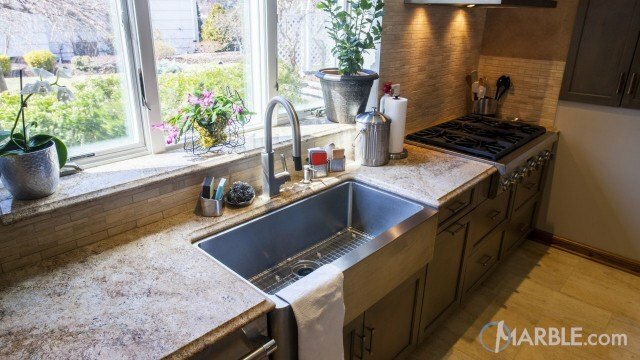 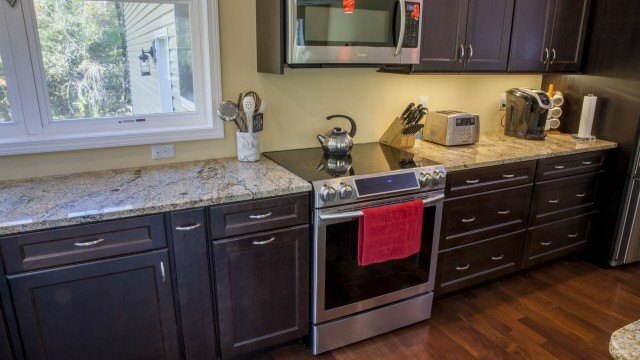 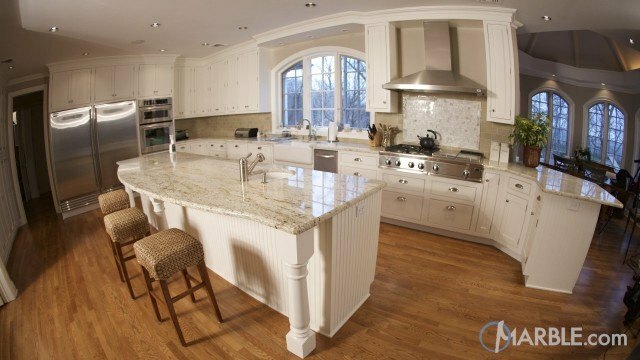 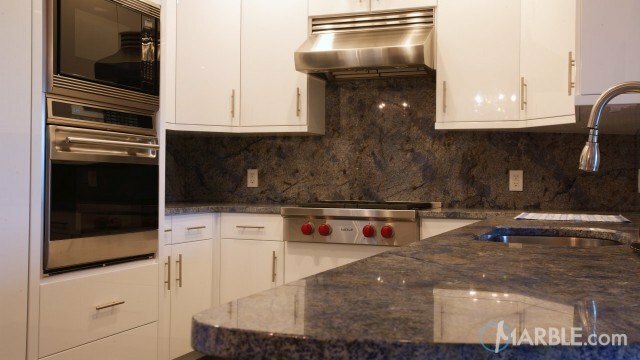 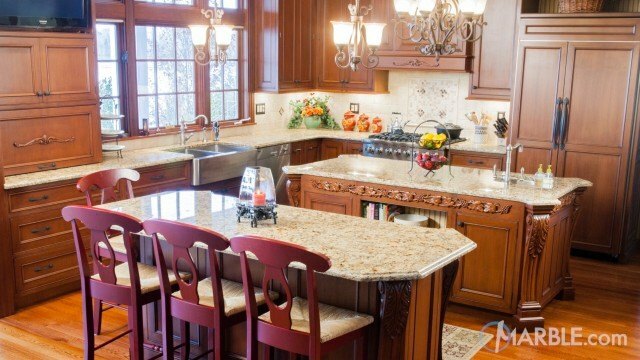 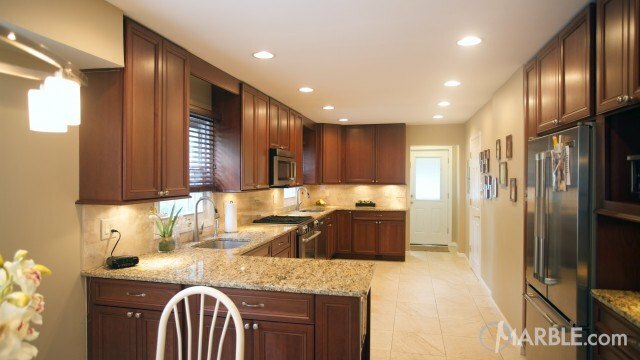 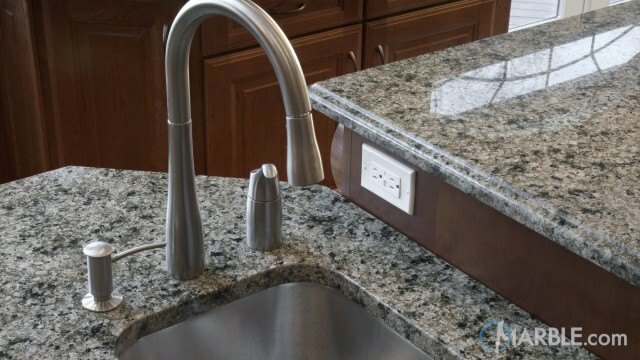 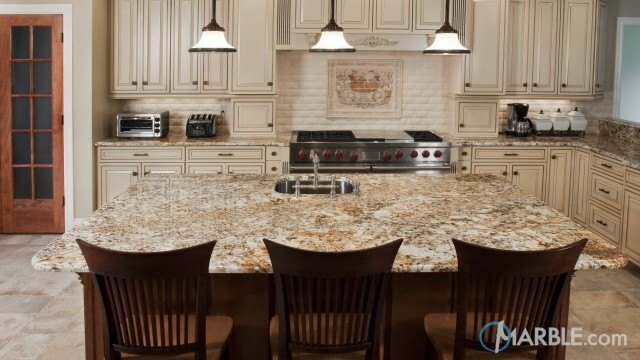 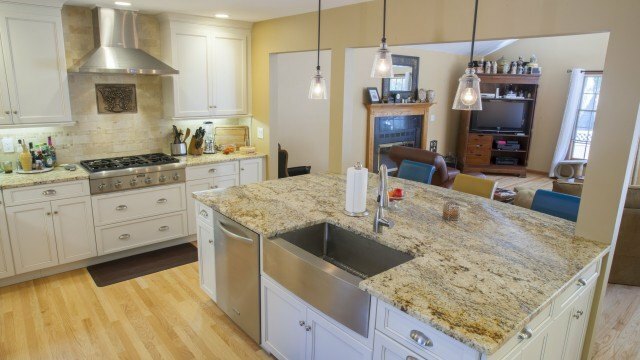 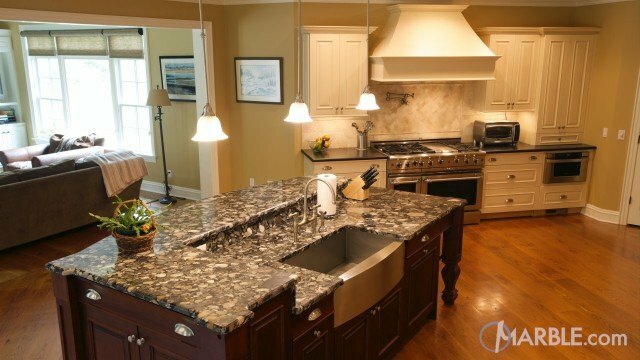 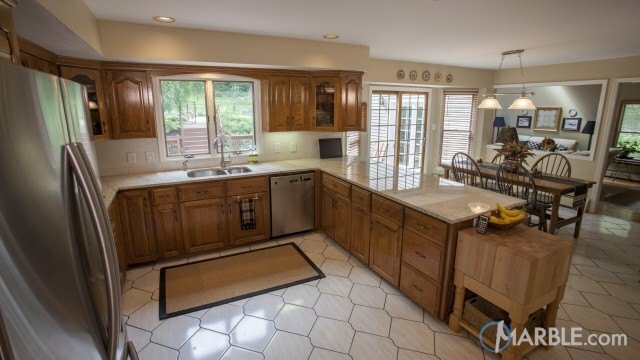 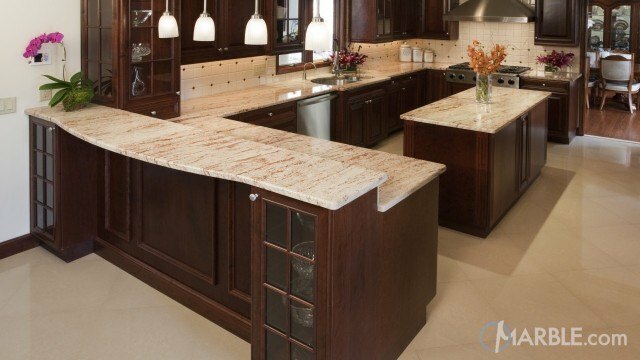 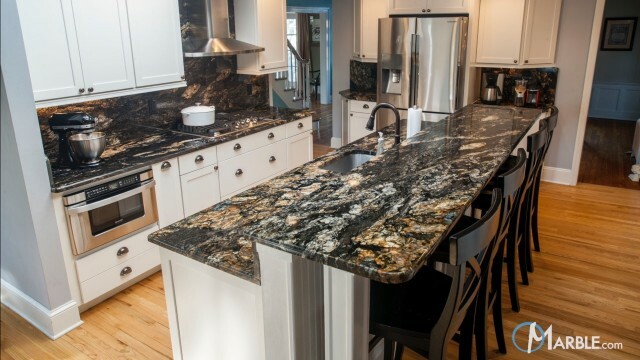 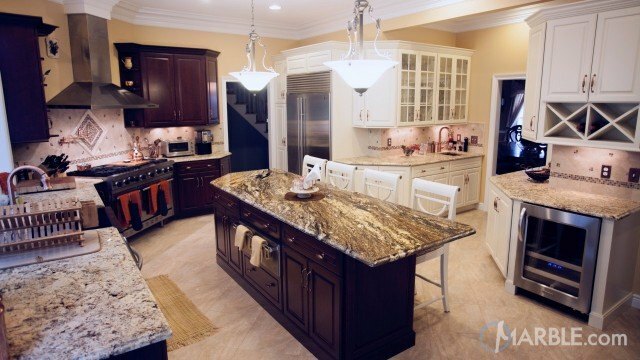 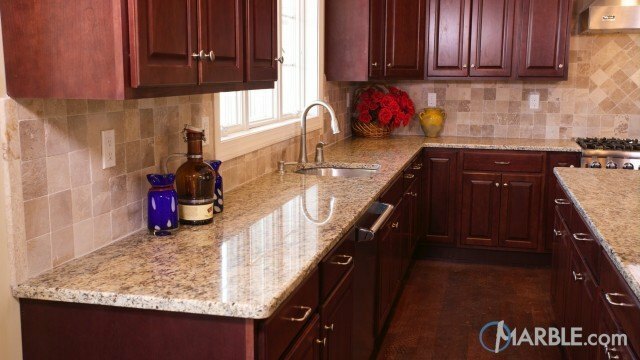 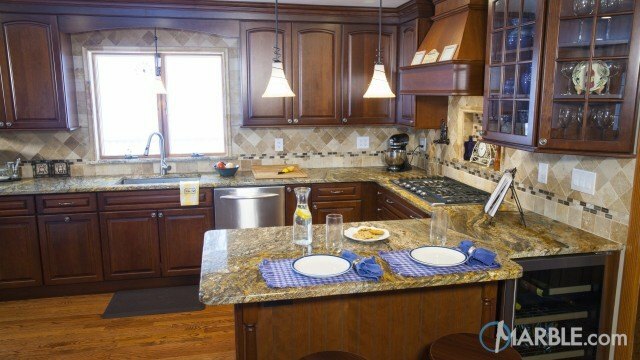 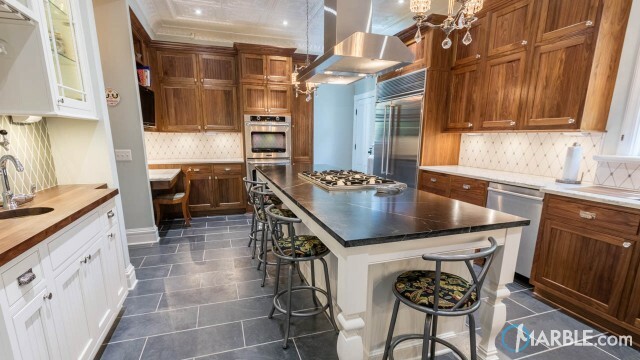 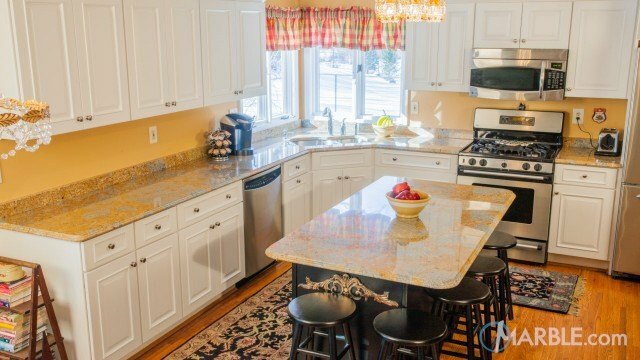 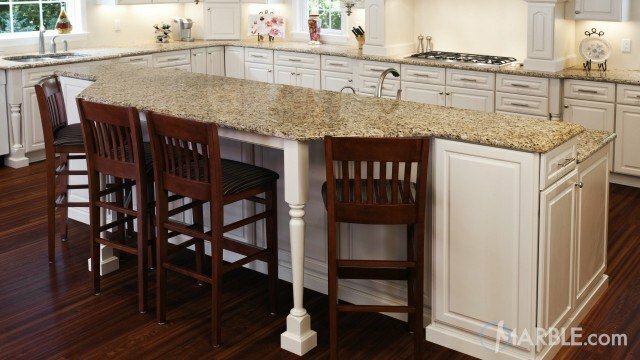 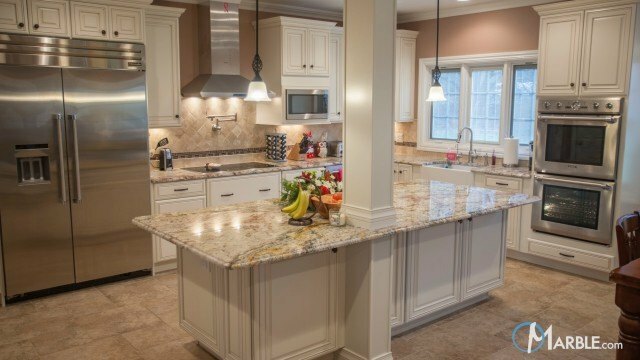 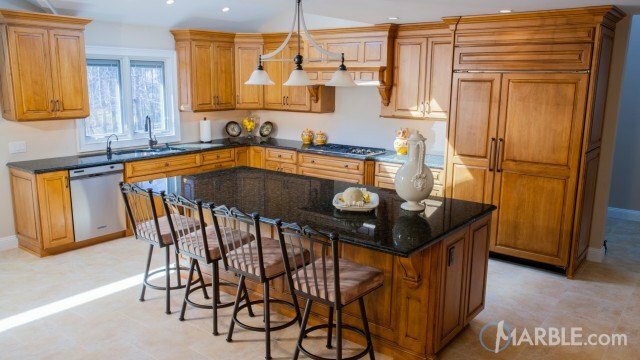 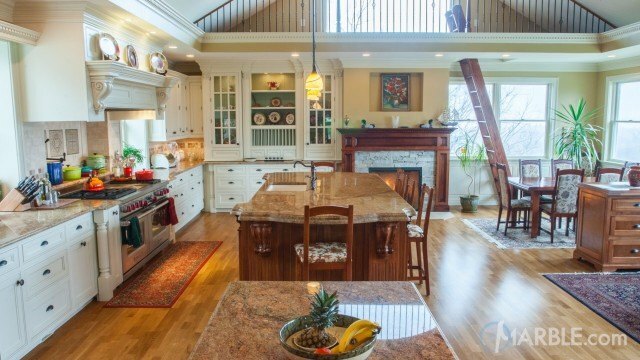 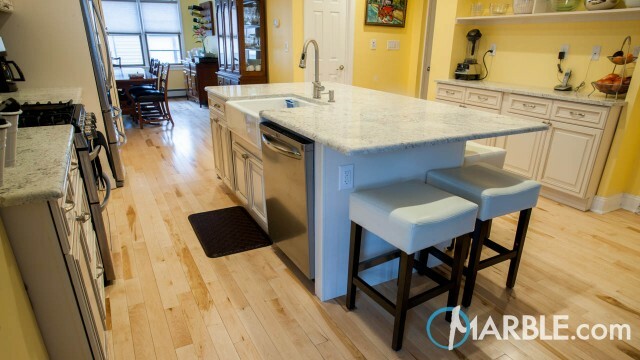 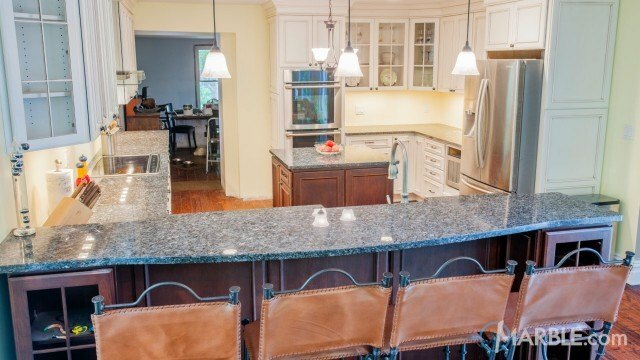 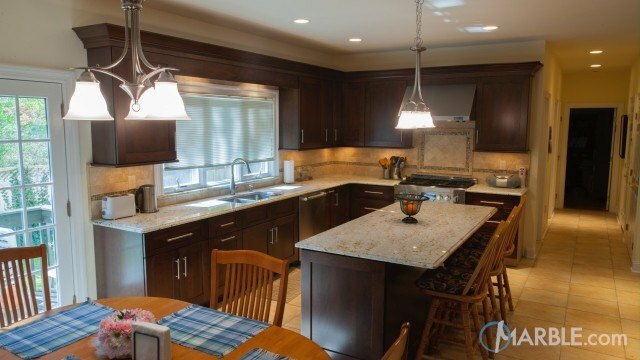 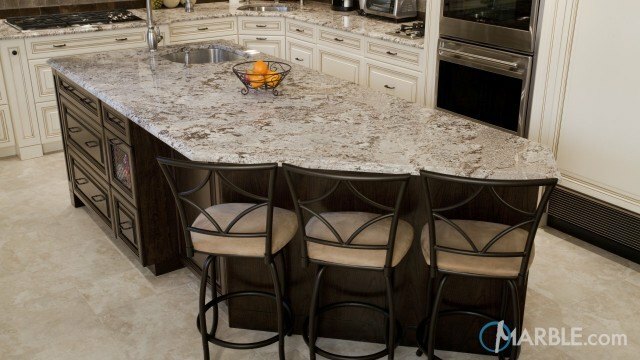 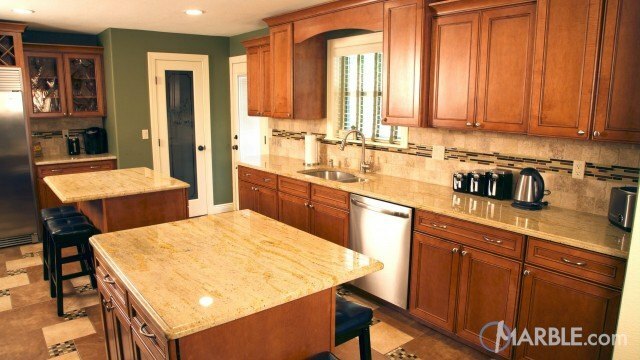 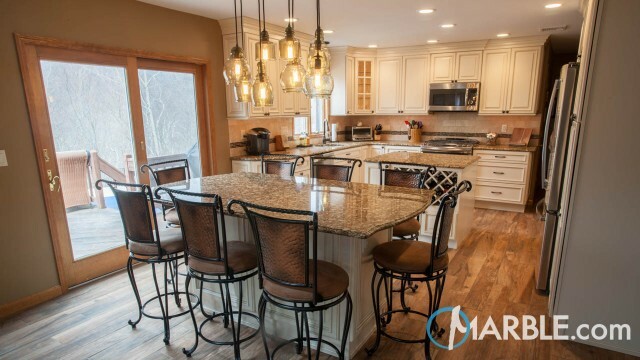 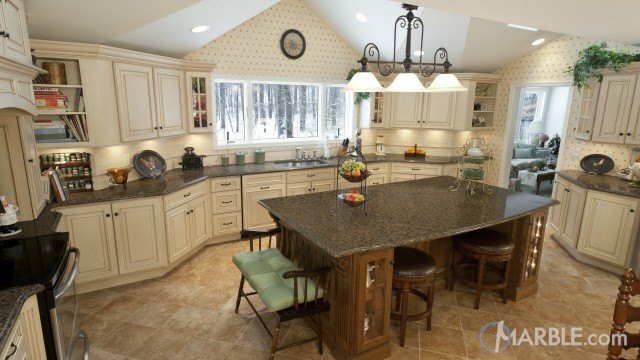 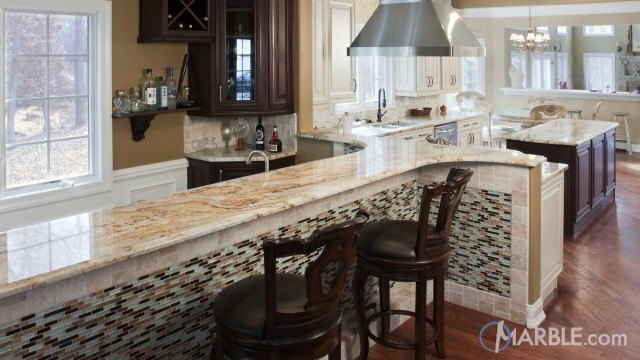 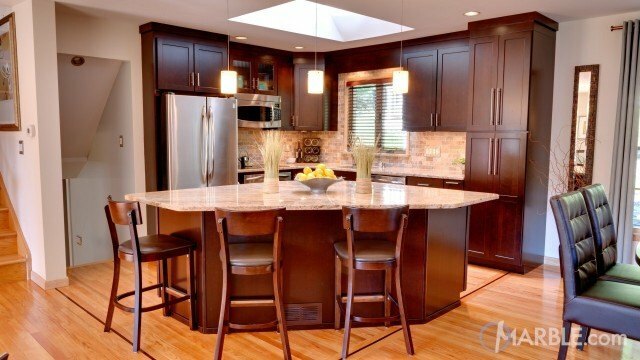 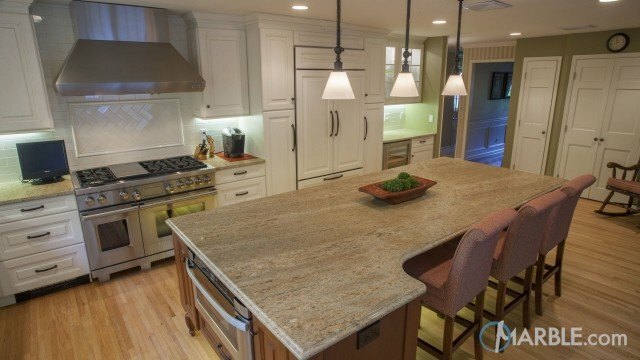 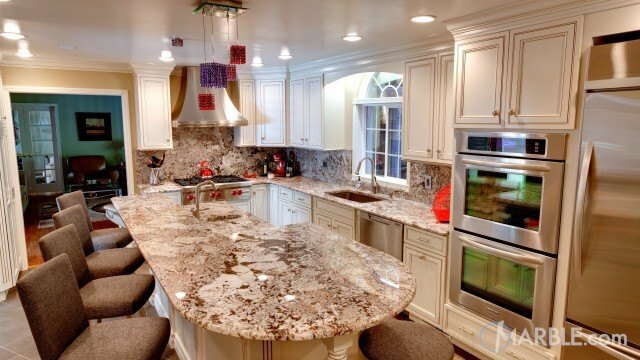 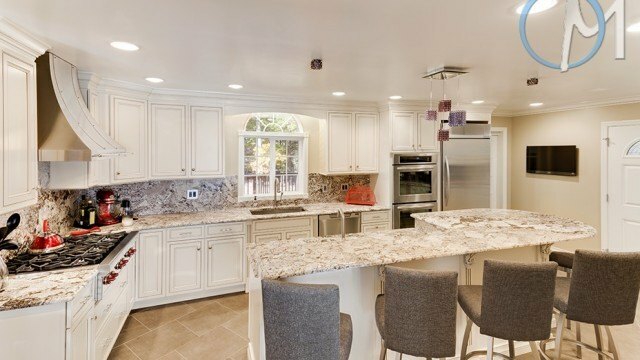 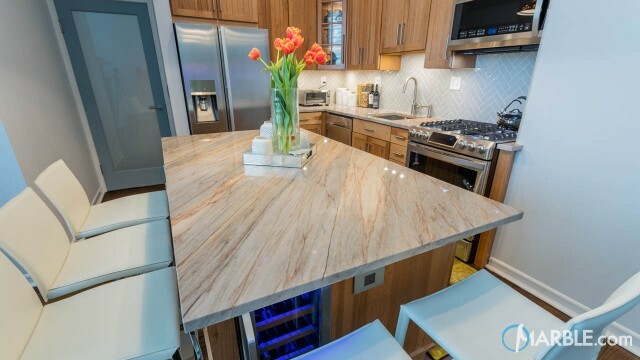 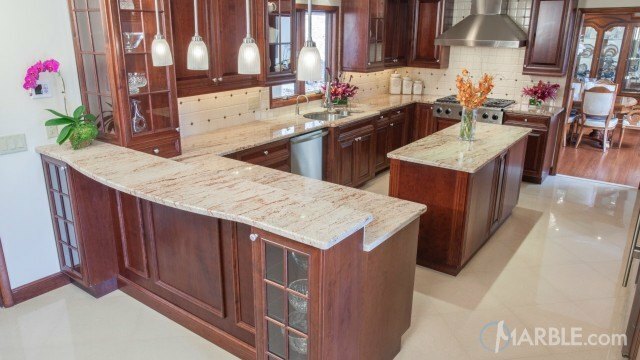 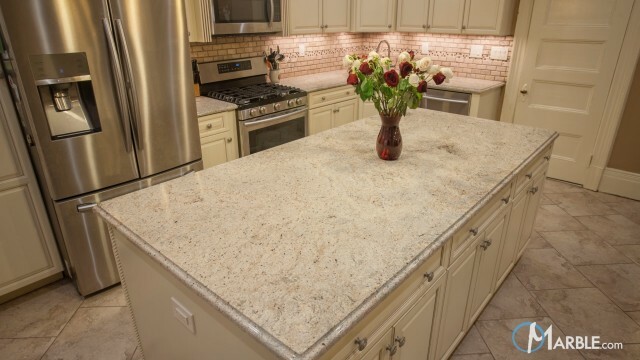 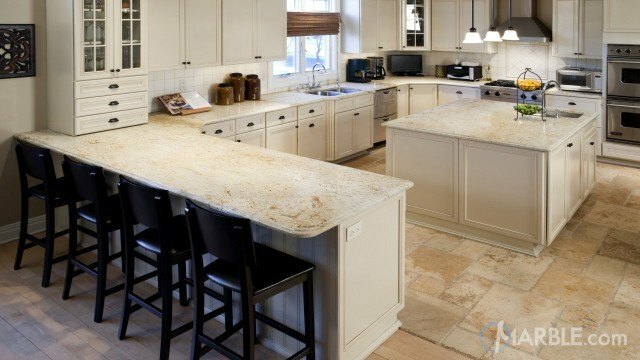 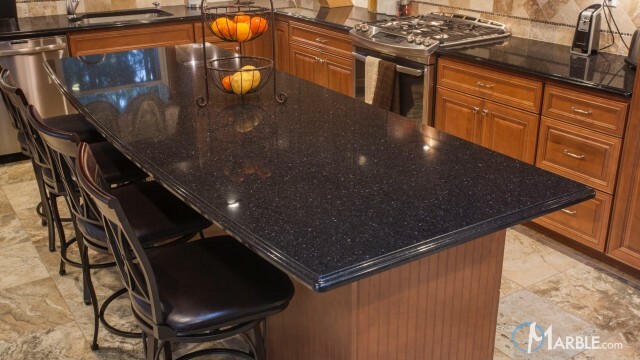 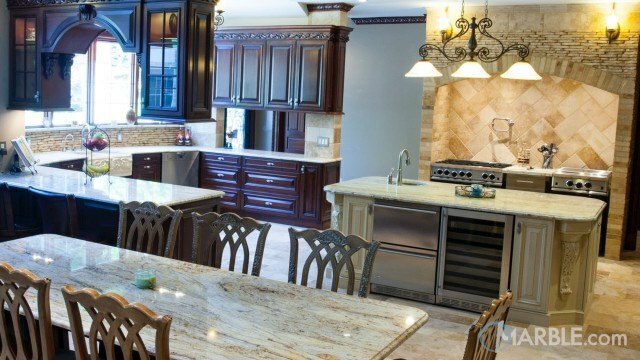 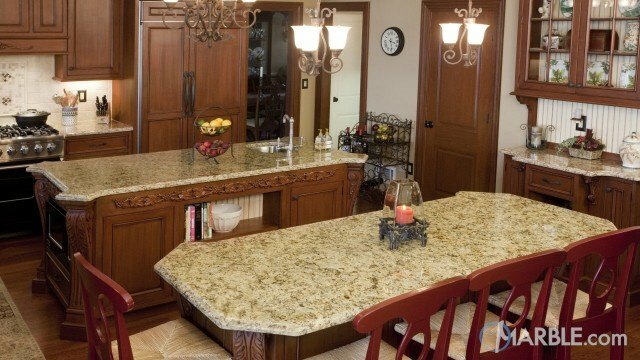 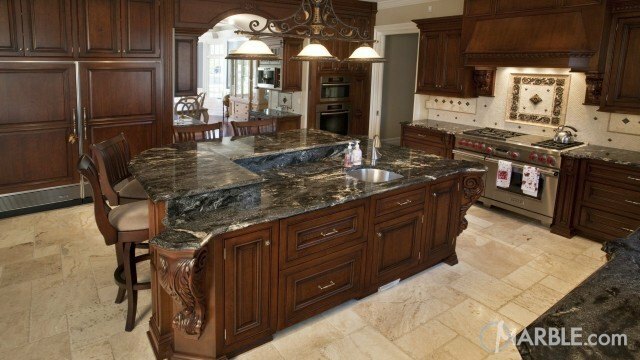 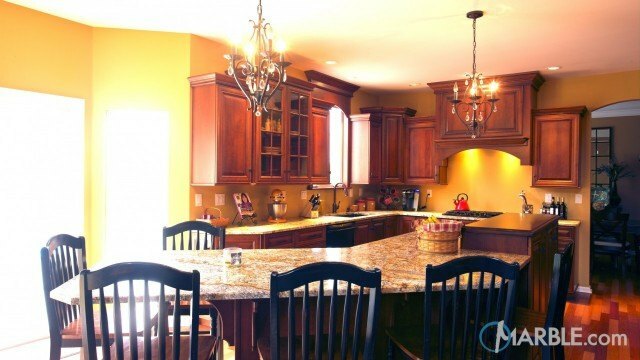 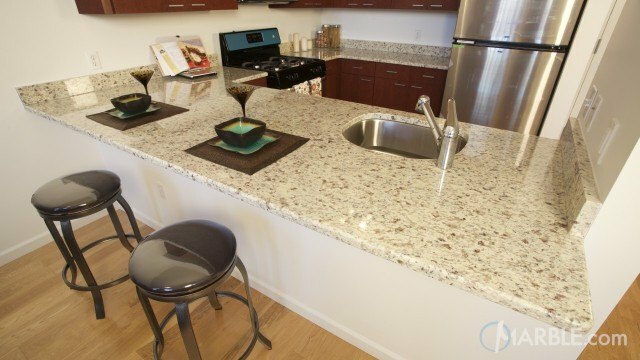 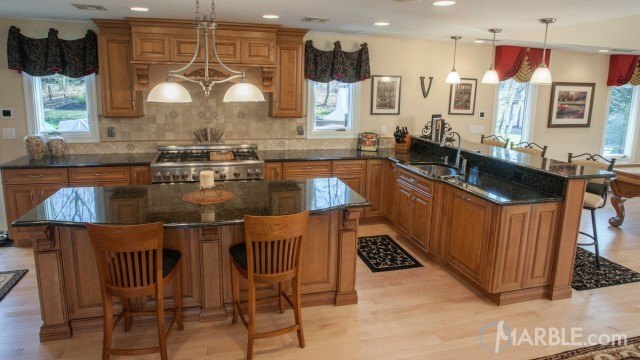 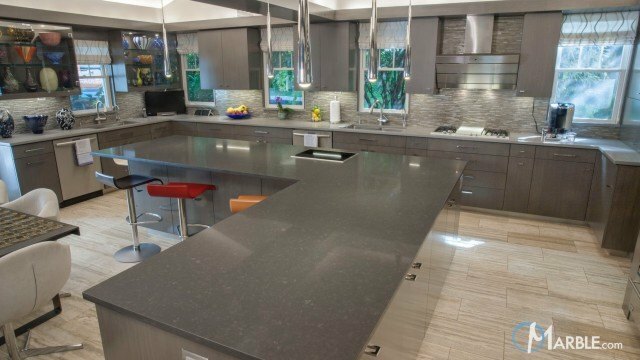 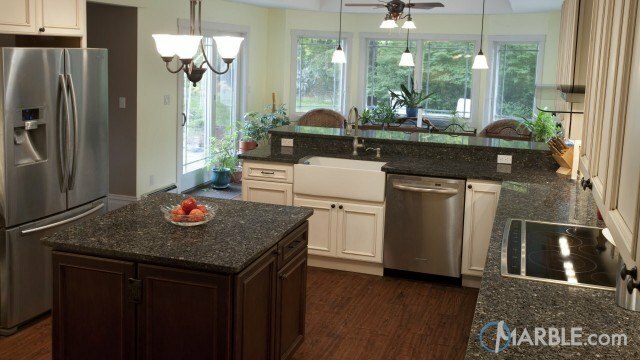 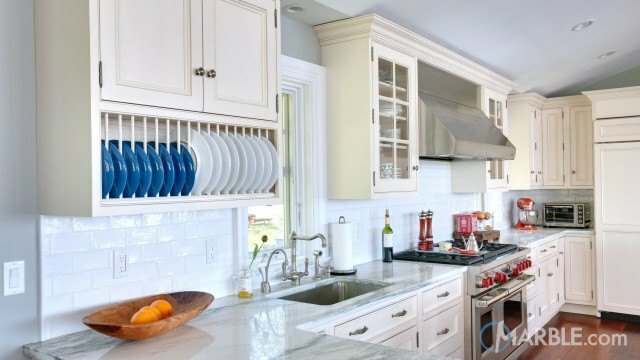 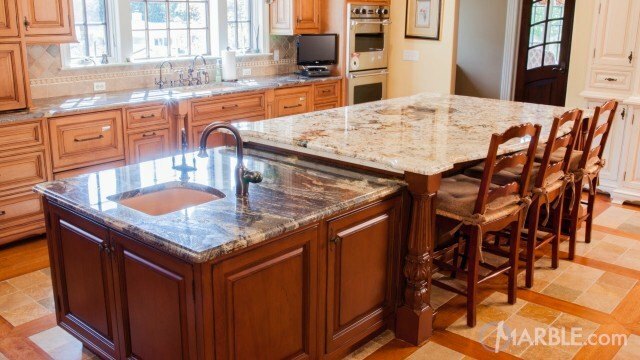 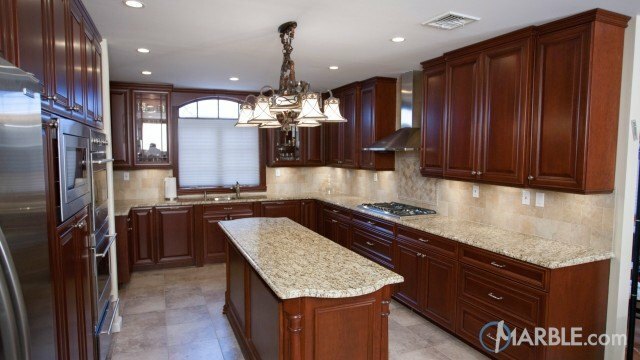 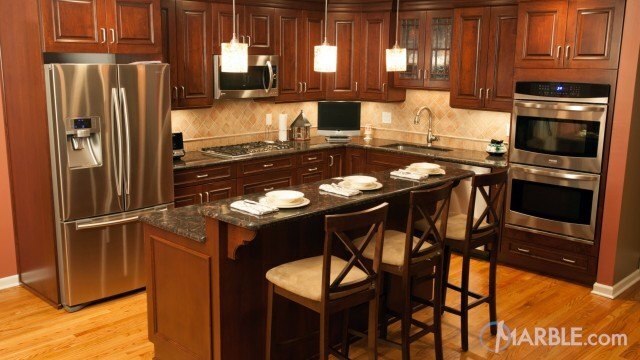 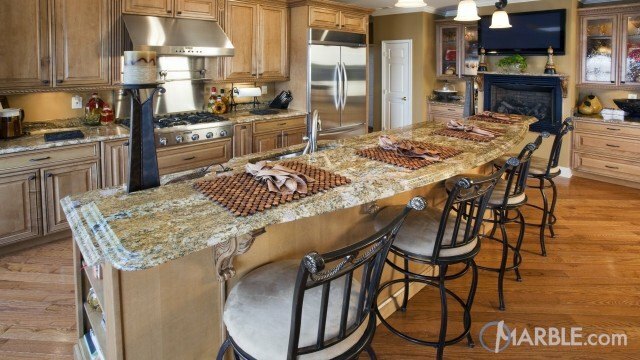 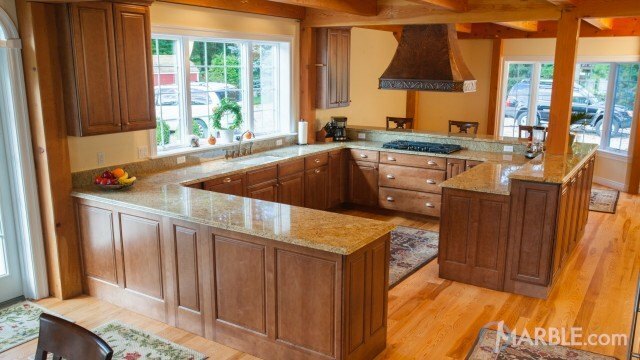 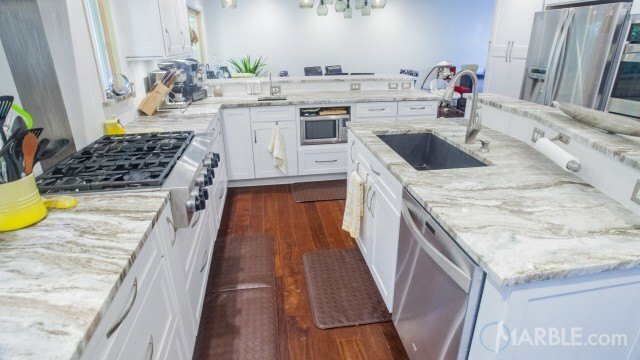 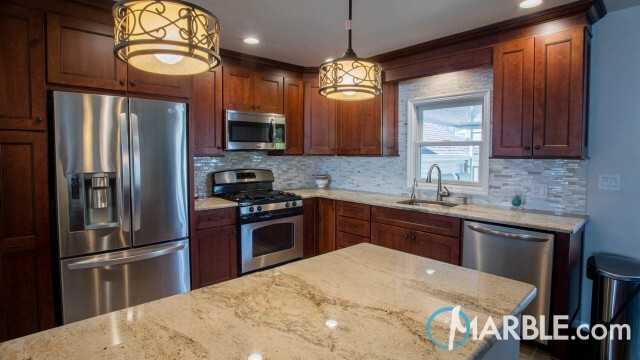 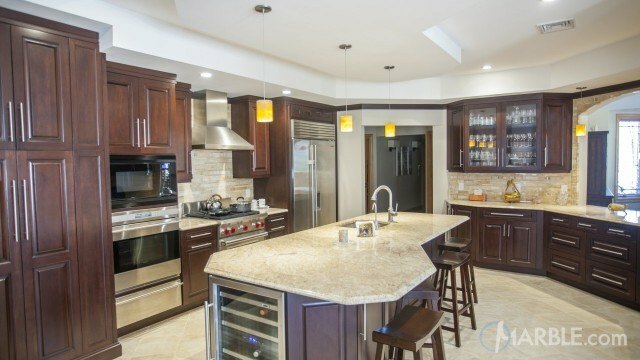 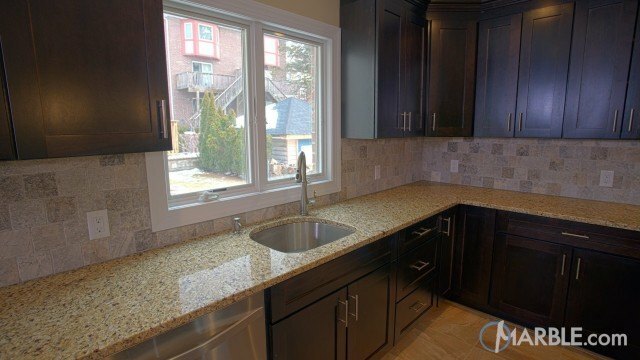 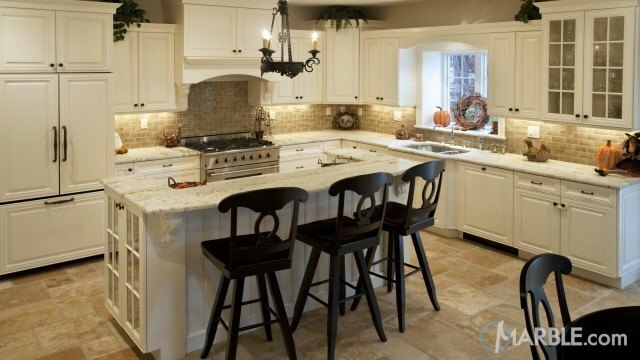 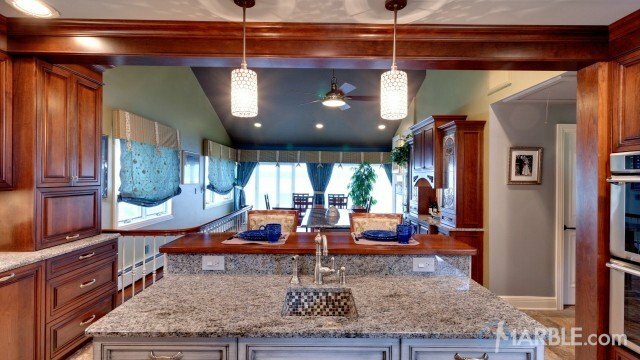 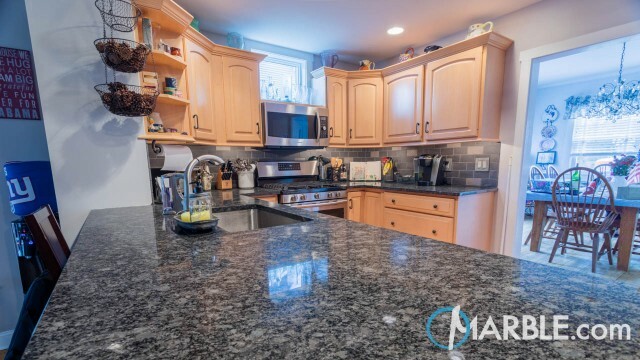 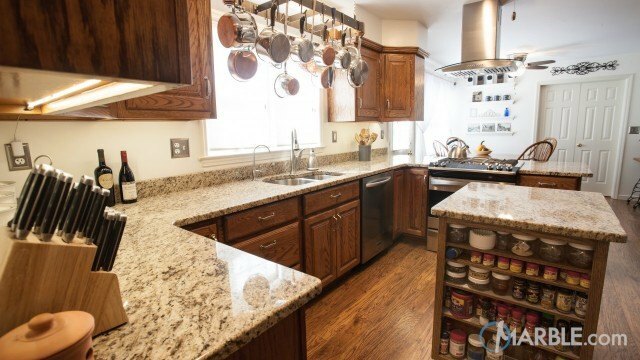 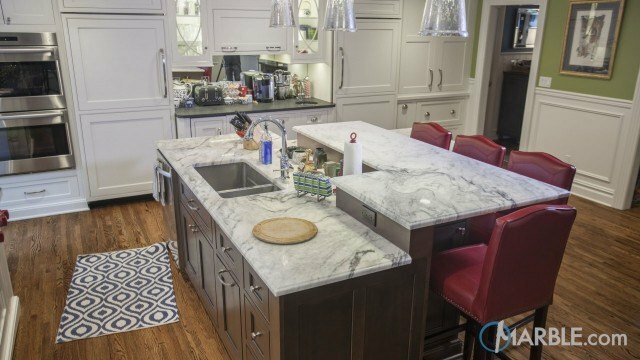 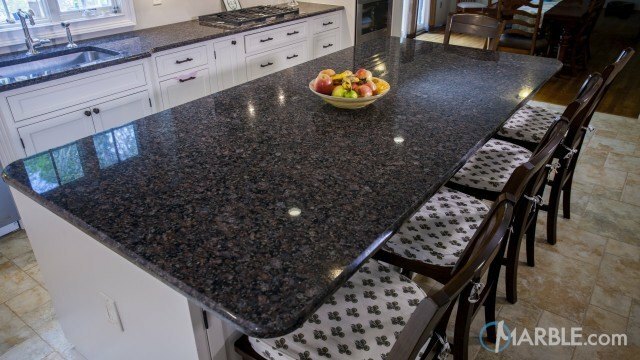 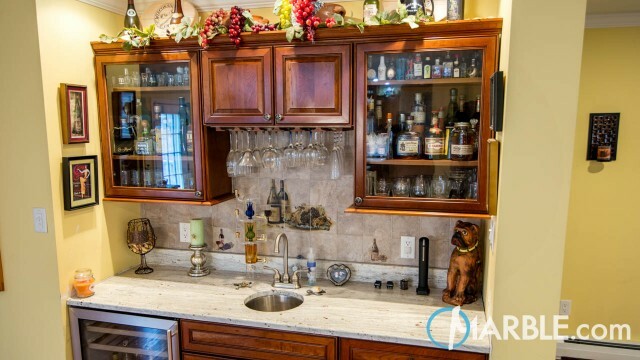 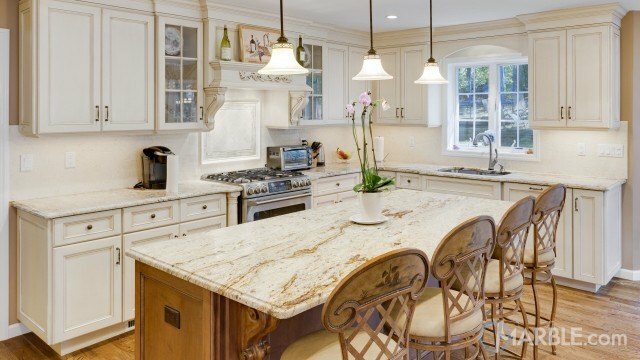 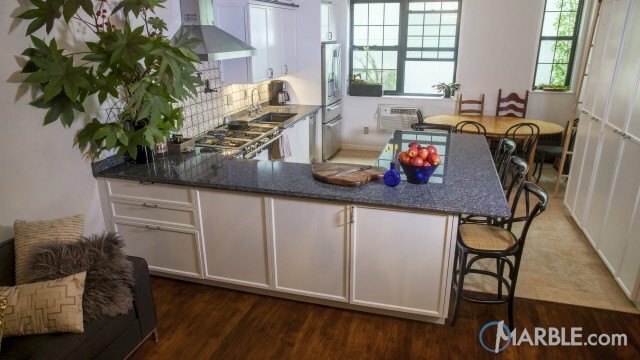 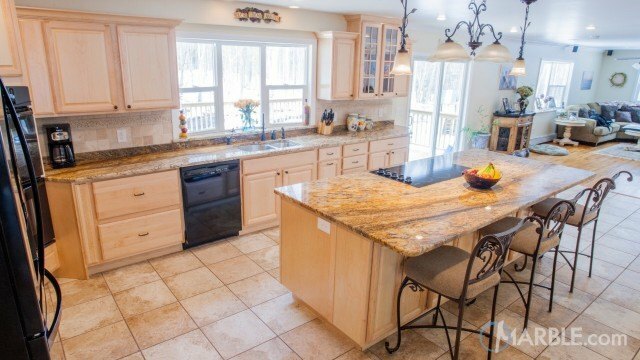 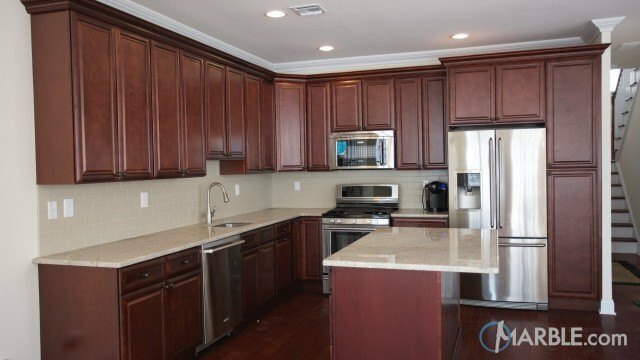 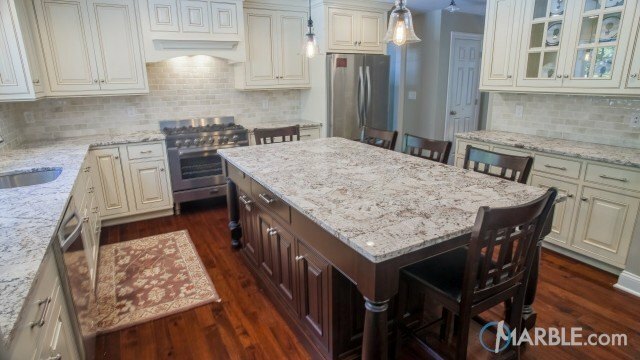 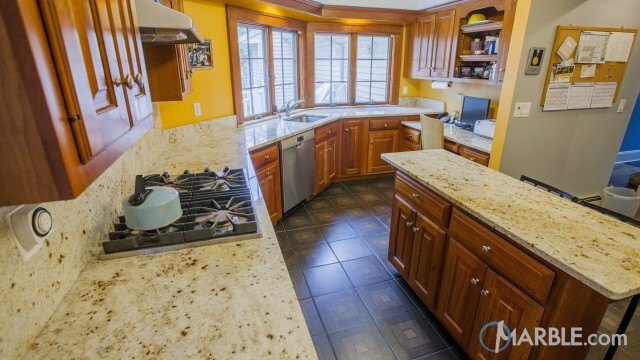 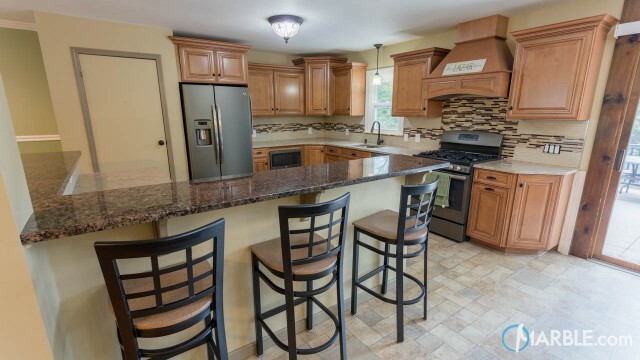 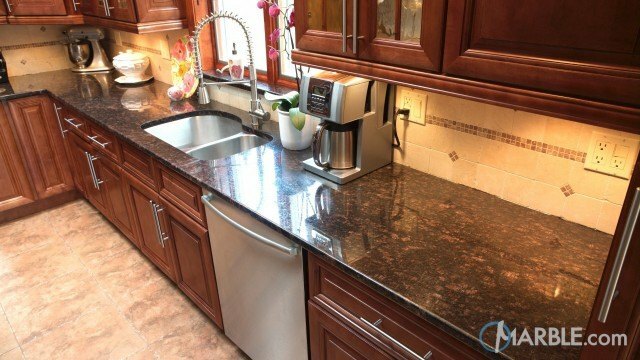 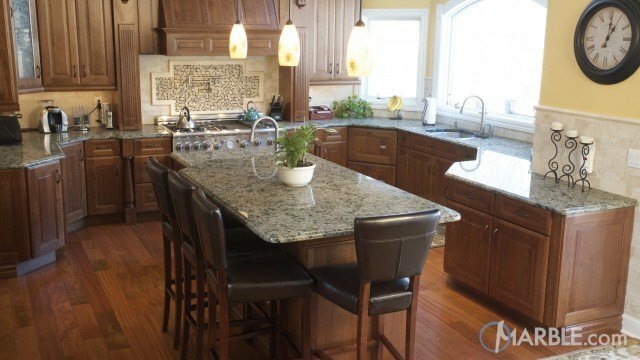 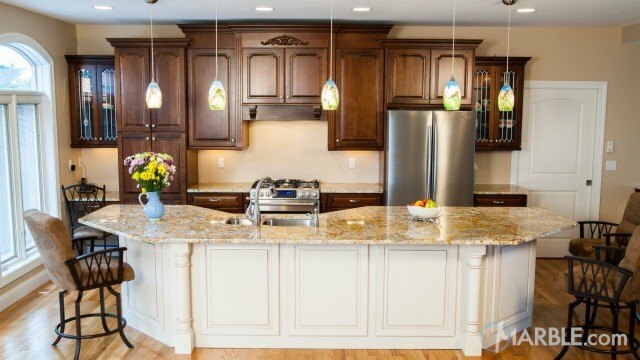 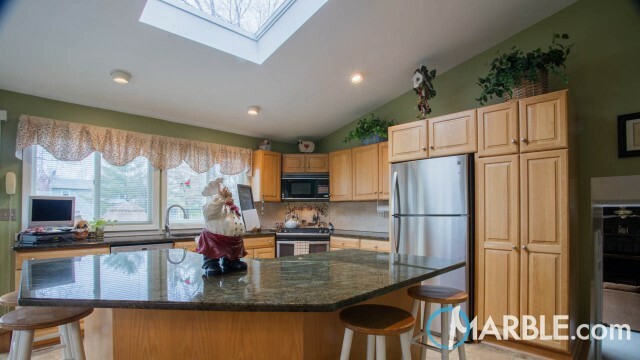 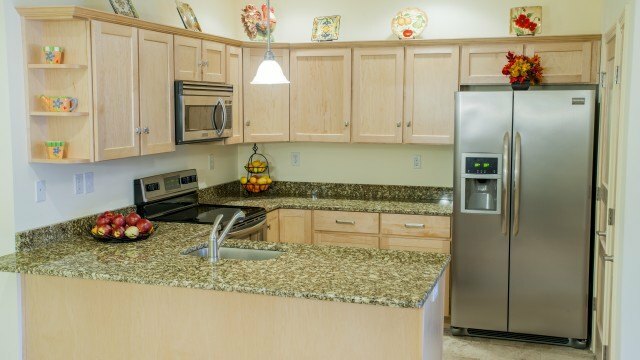 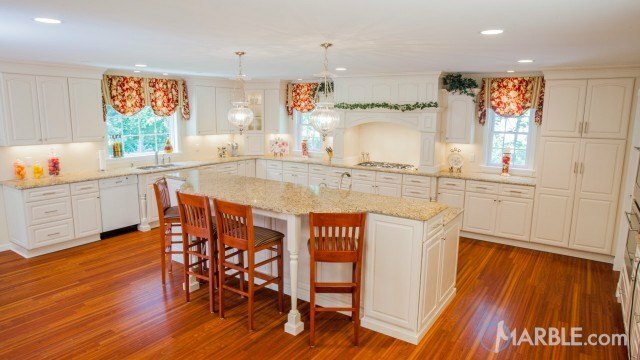 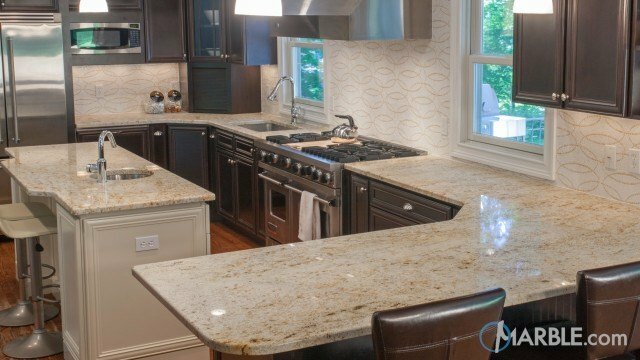 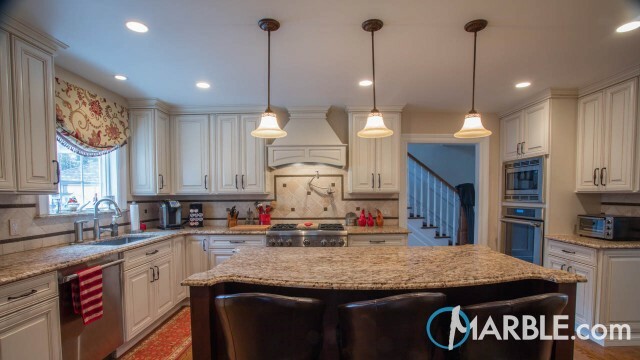 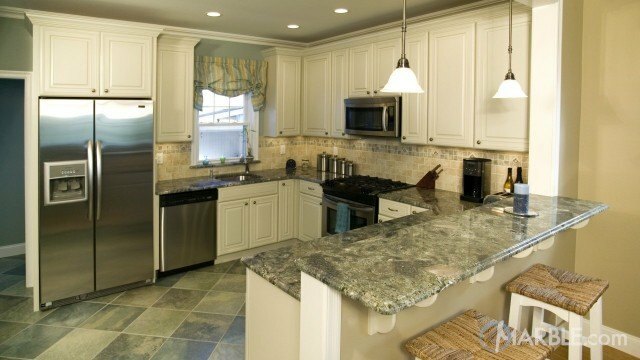 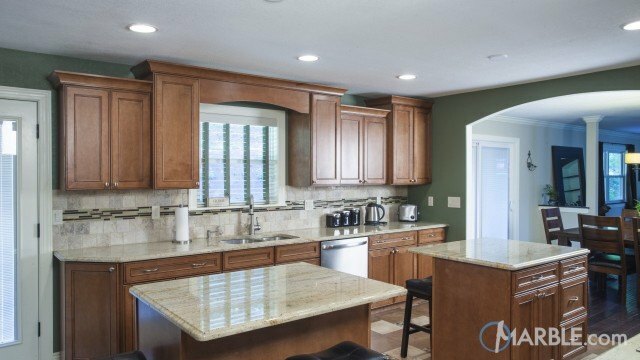 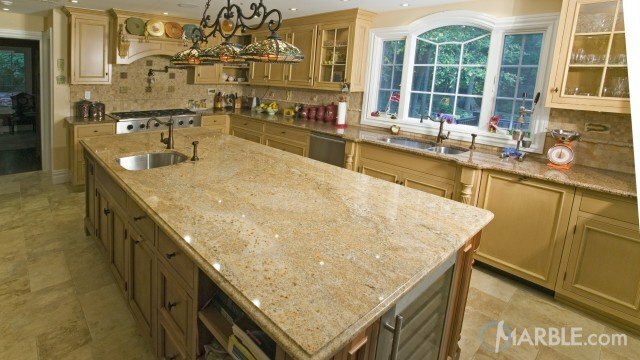 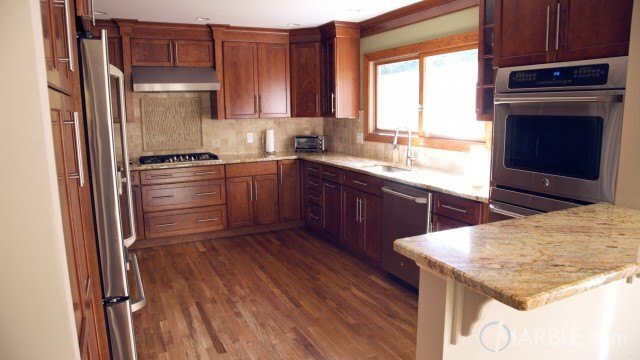 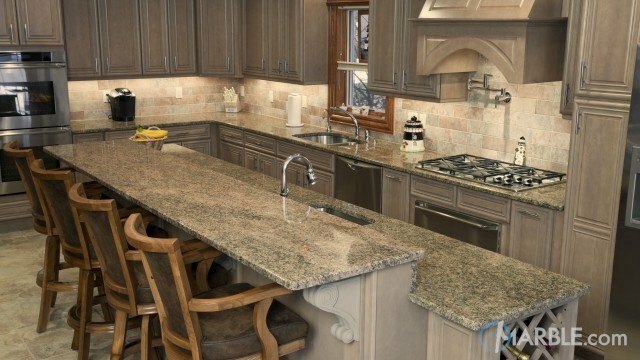 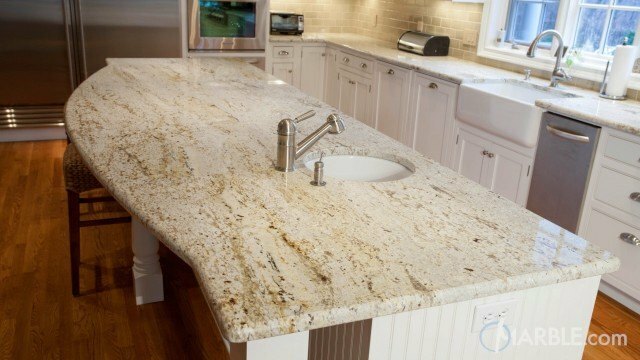 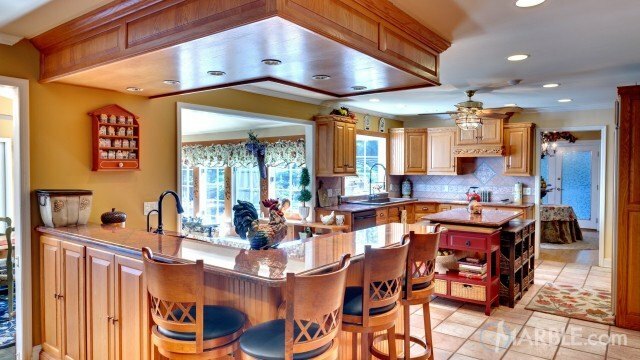 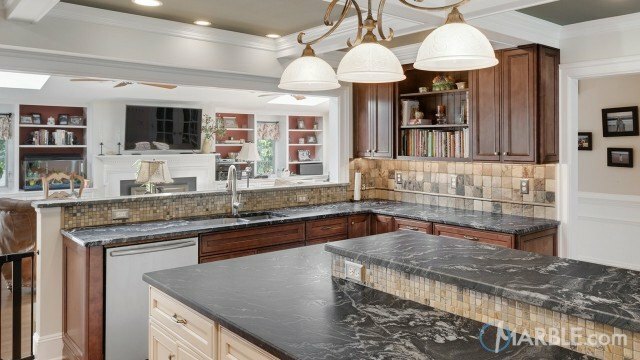 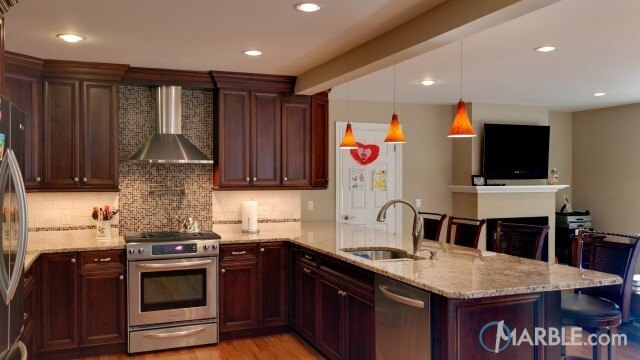 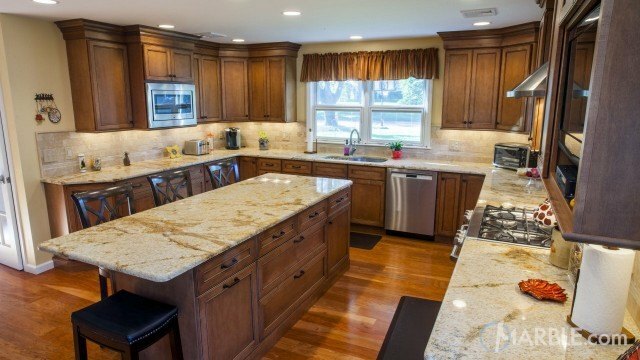 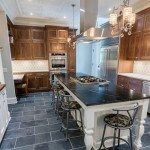 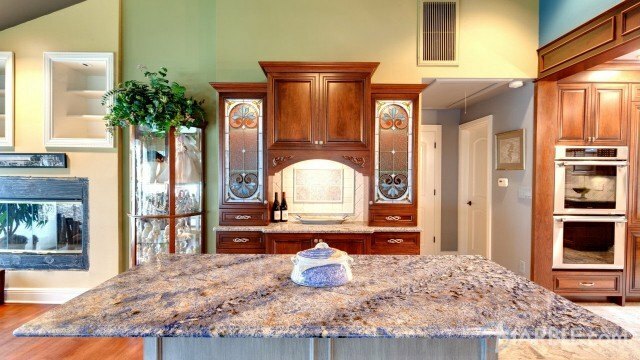 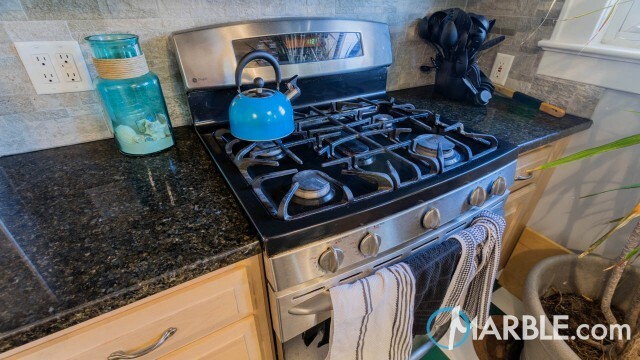 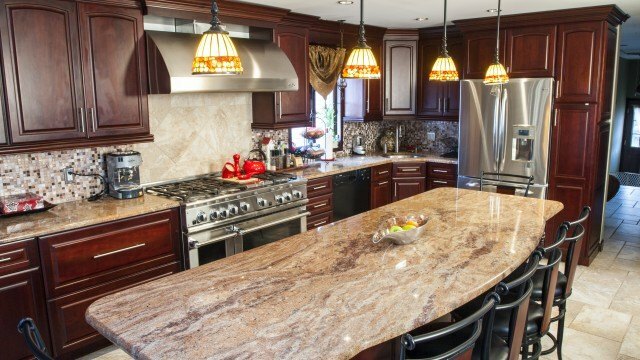 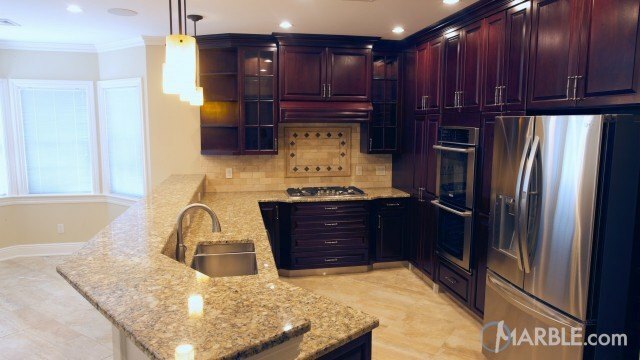 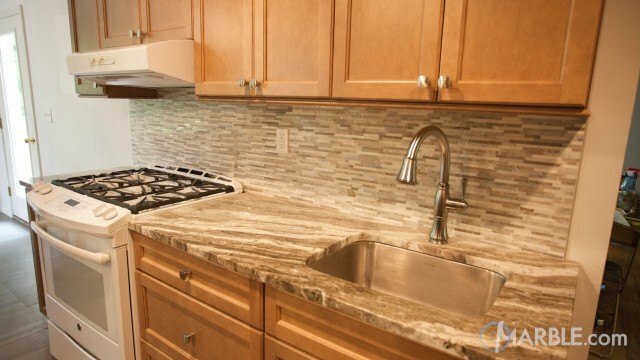 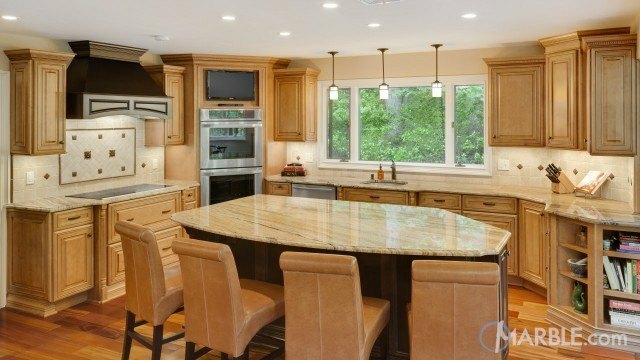 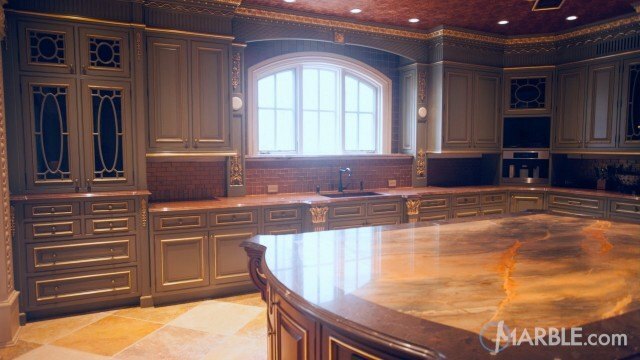 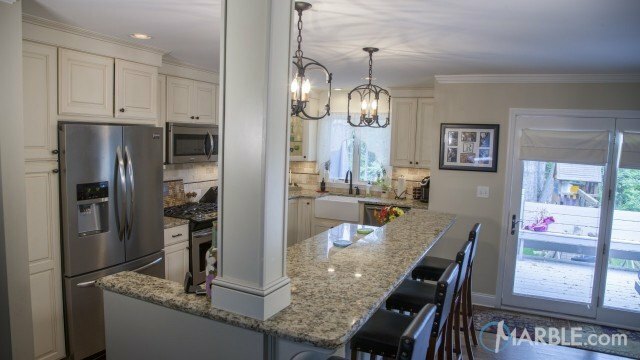 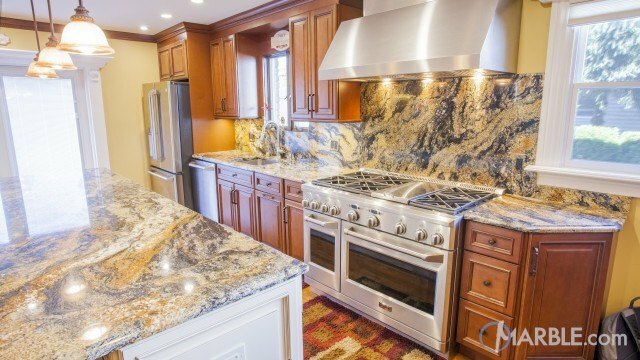 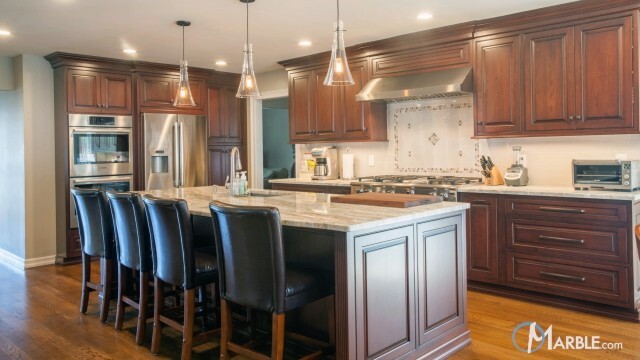 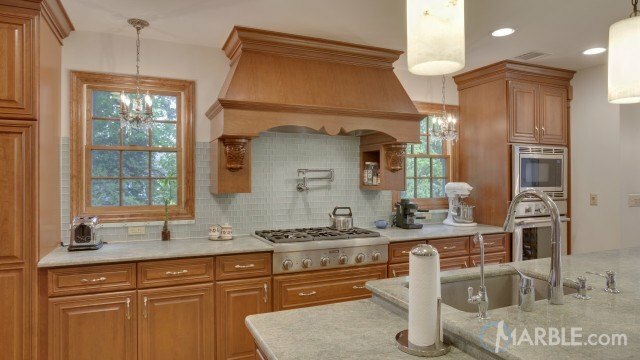 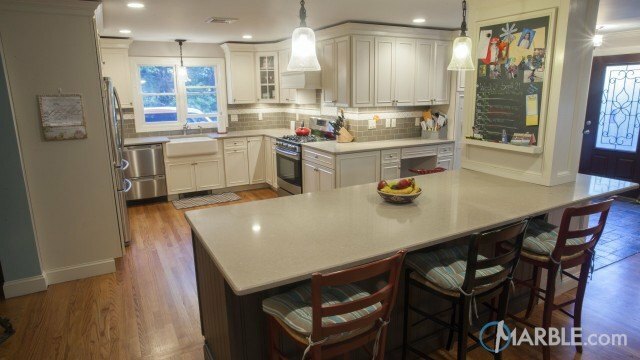 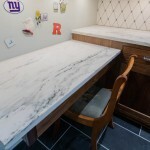 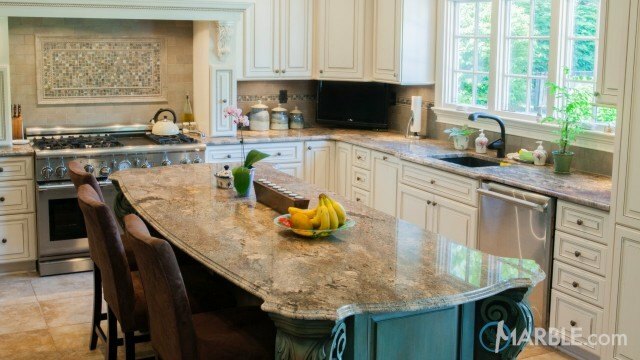 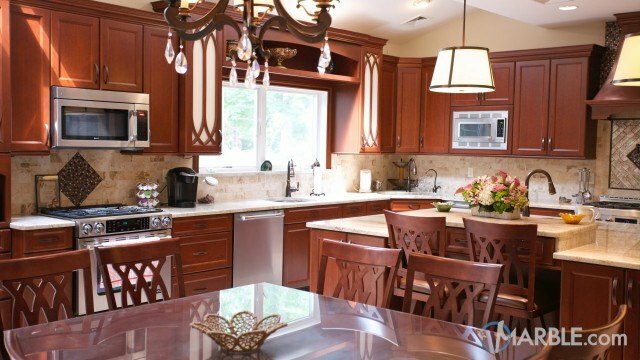 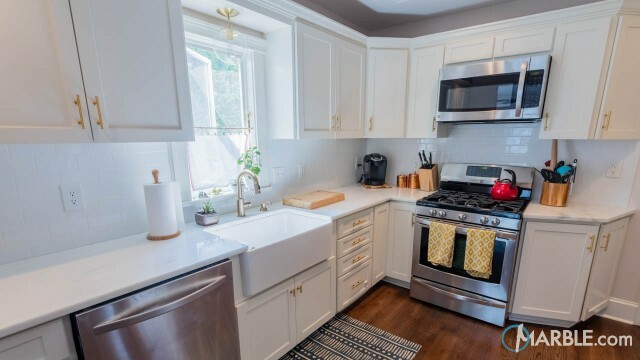 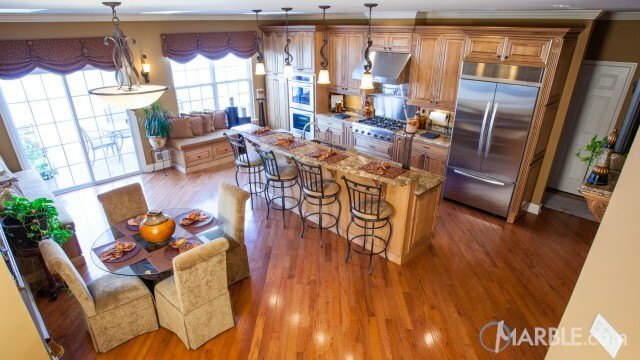 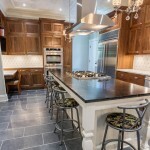 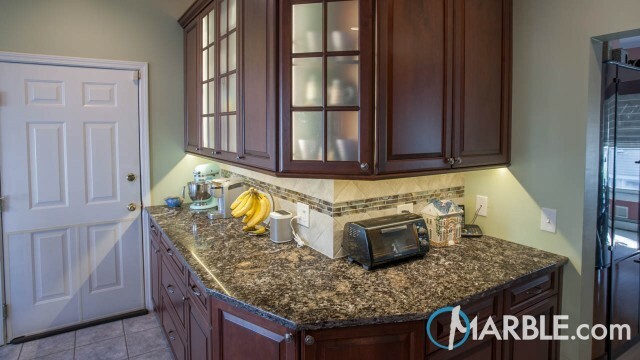 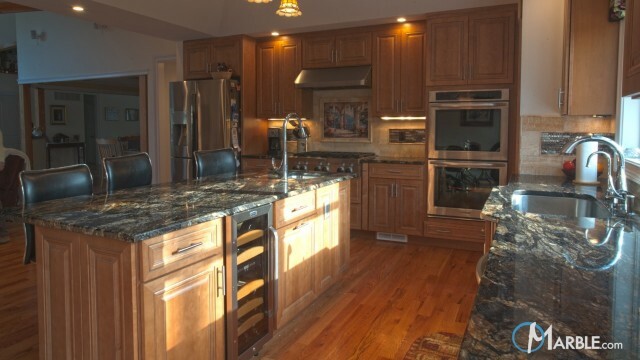 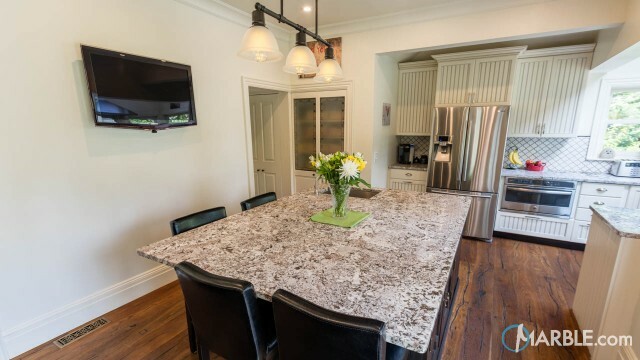 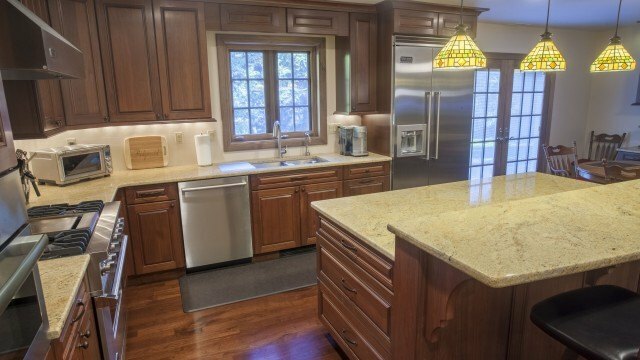 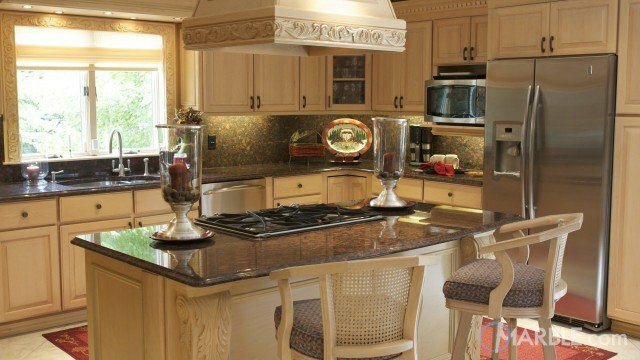 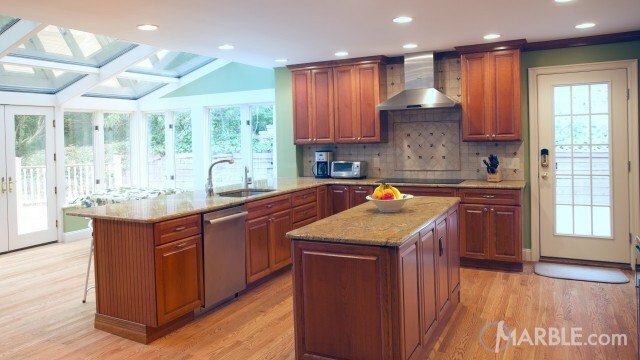 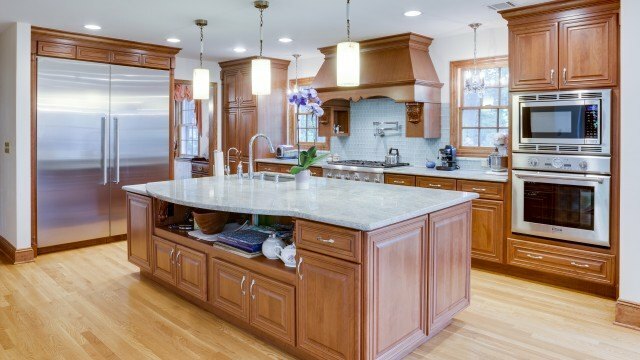 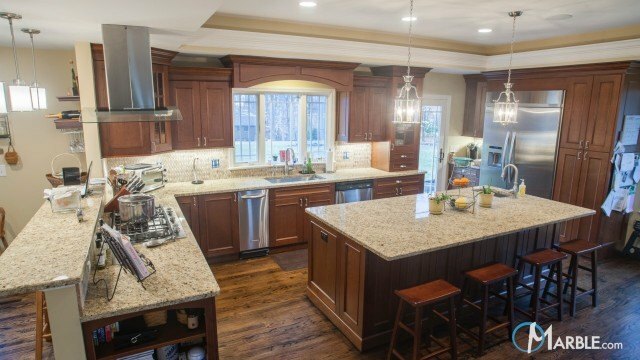 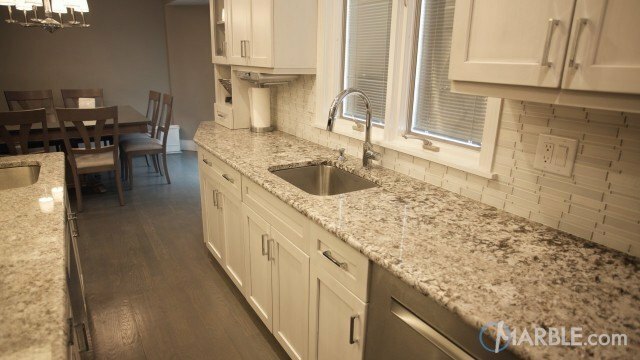 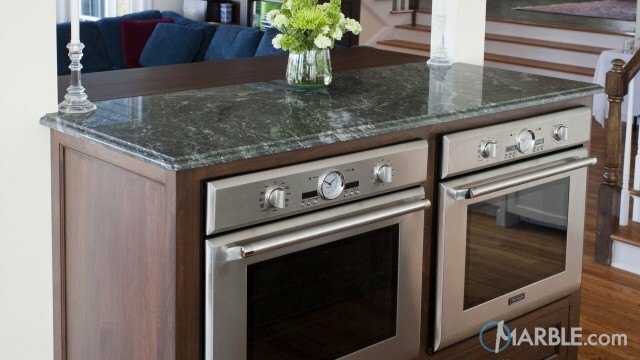 The sizable kitchen island provides plenty of room for cooking and eating meals.